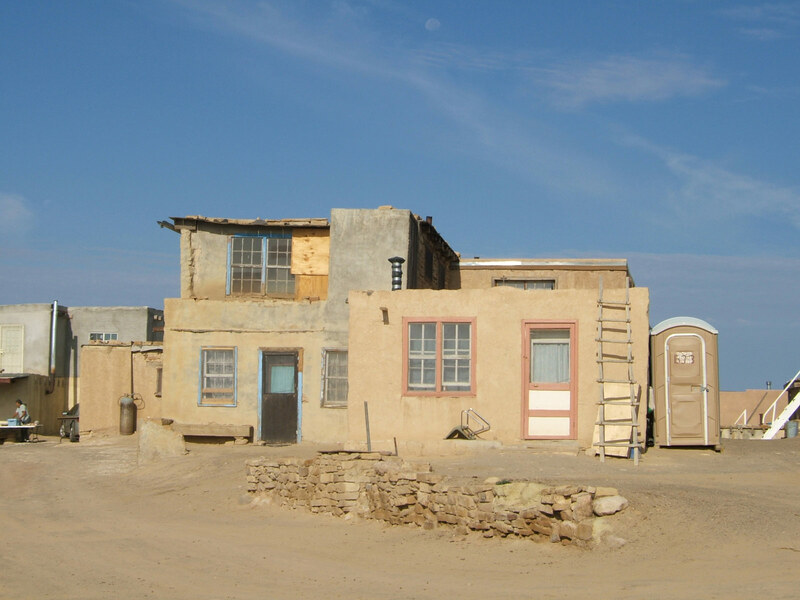 ACOMA PUEBLO Acoma, New Mexico Architectural review for restoration of ca. 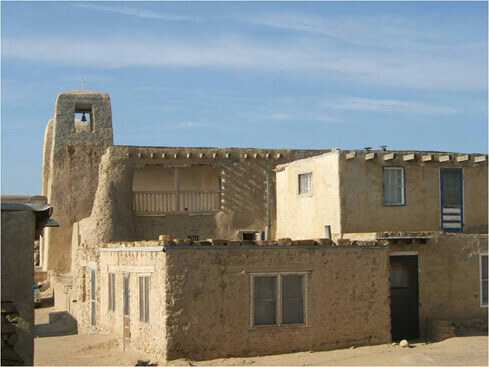 1100 National Historic Landmark adobe pueblo and village. 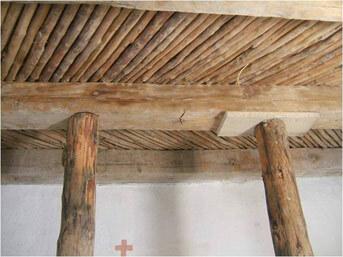 Restoration of roof of 17th century San Esteban Church. 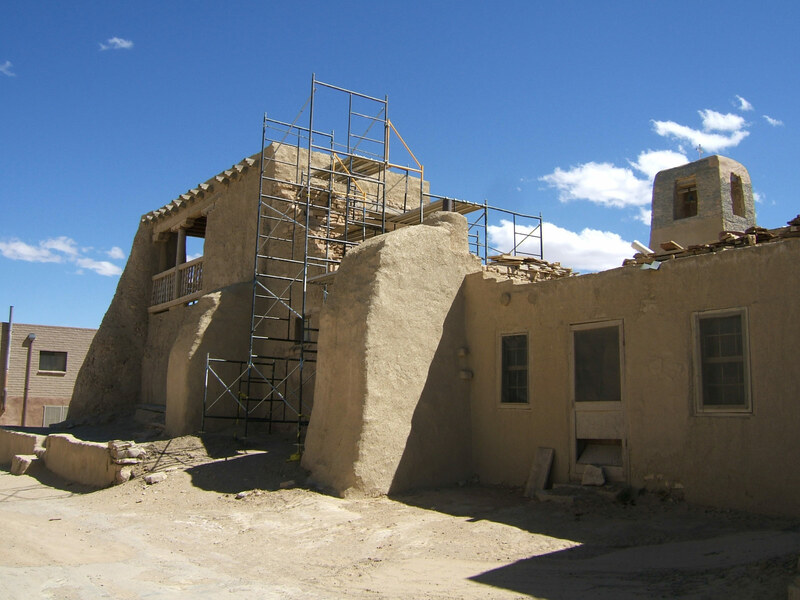 Development of program to restore and reconstruct three-story high pueblo buildings suffering from inadequate repairs from the 1970s. 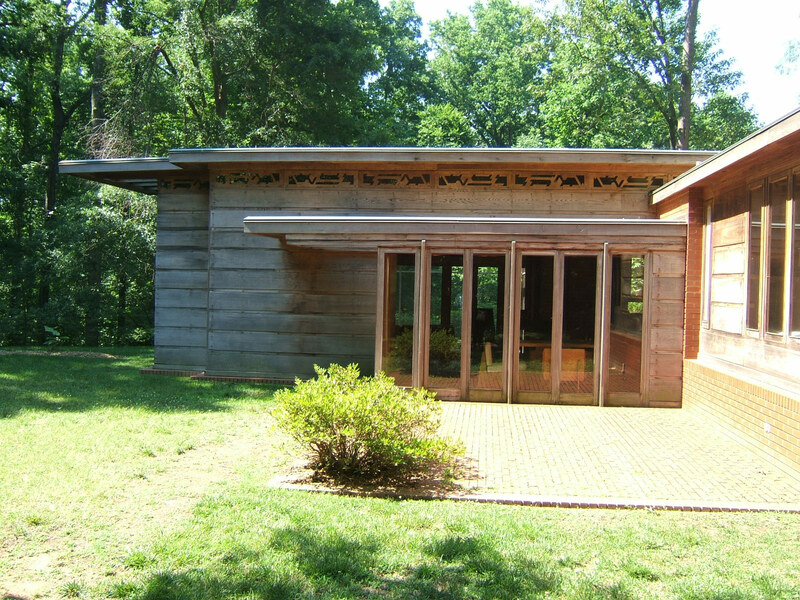 As Chief Architect of the National Trust, Barbara Campagna managed the review of all architectural projects at this National Trust Historic Site from 2006-2011. 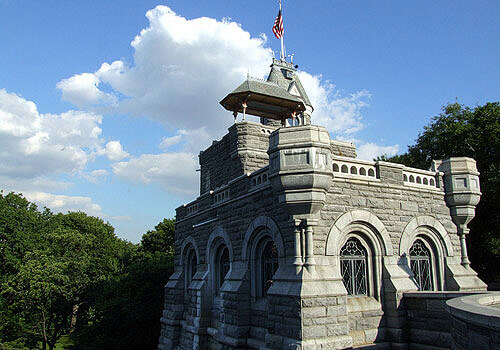 BELVEDERE CASTLE Central Park, New York, New York Restoration and adaptive use of National Historic Landmark complex designed in 1869 by Calvert Vaux as a folly overlooking Manhattan’s original reservoir. 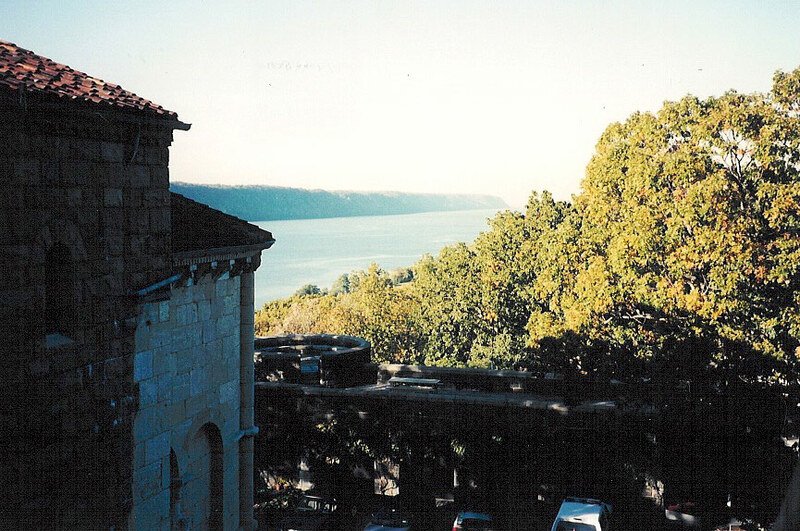 The Castle was reinvented as a children’s discovery center and included complex restoration approaches due to the location of the building on a Manhattan schist outcropping overlooking a pond and the Great Lawn. 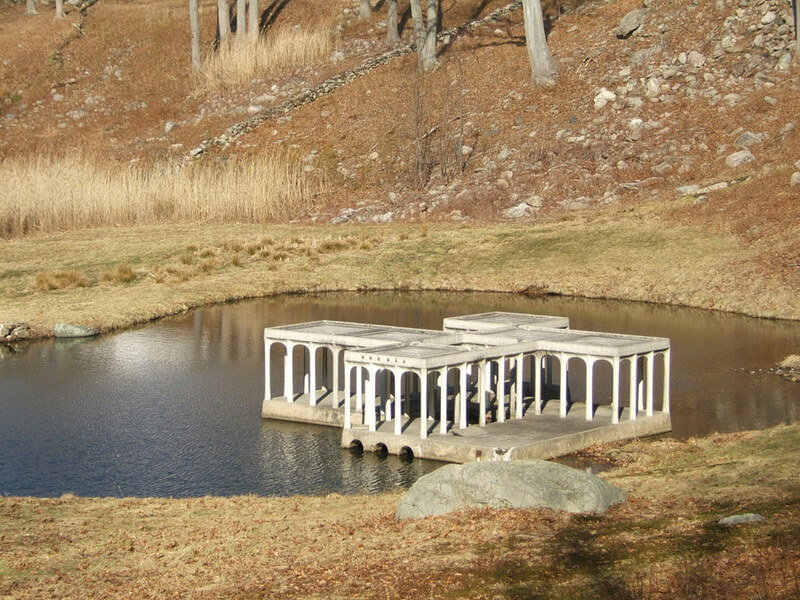 Barbara Campagna was the architect for the restoration and adaptive use of the site, a project which implemented some of the earliest sustainability approaches. 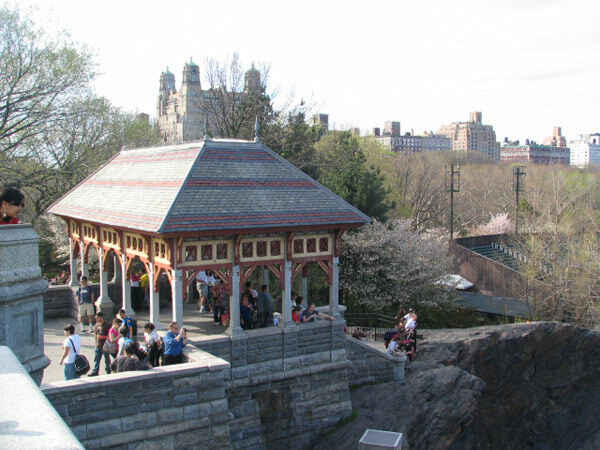 Its successful reuse reactivated a central area of Central Park. 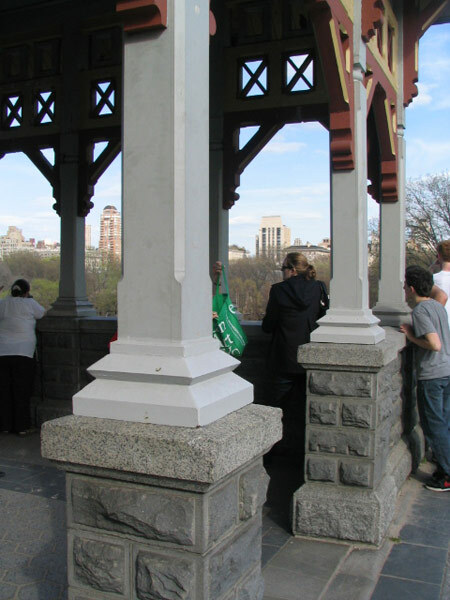 The project involved complete repointing, repair of spalled and cracked Manhattan schist and granite, cleaning and repair of interior slate floors and most significantly the design of new casement windows and doors in steel with operable wrought iron security grilles. 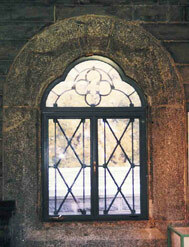 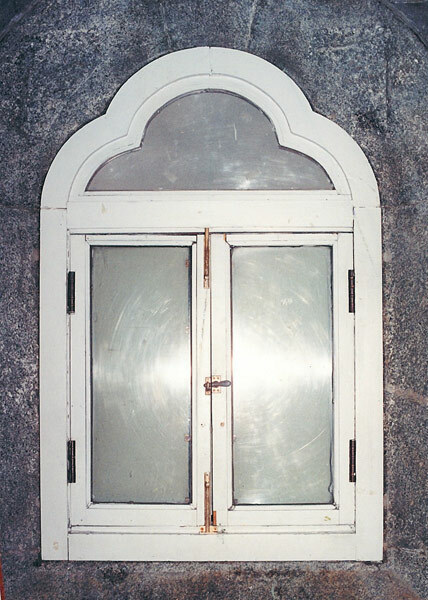 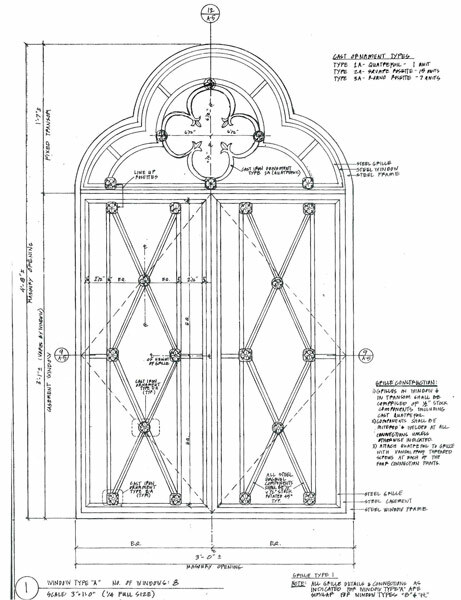 The design intent of the new windows was to install durable and safe windows which would recede into the deep wall openings, harkening back to the original appearance of the open-air folly. 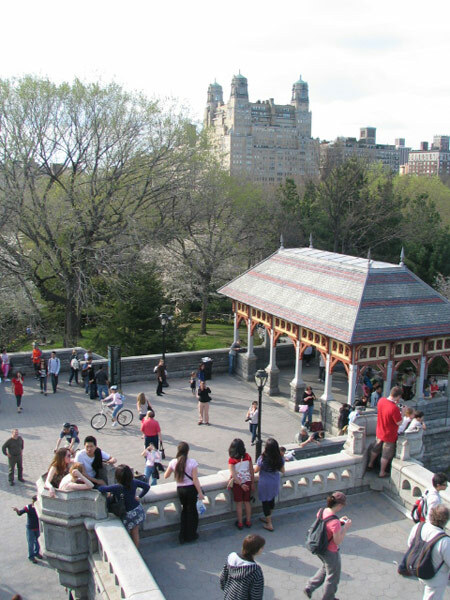 NORTHWEST PAVILION, BELVEDERE TERRACE Central Park, New York, New York The Belvedere Castle was designed in 1869 by Olmsted and Vaux as an open-air folly within Central Park. 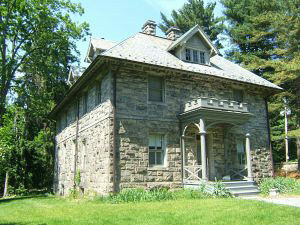 The complex included the castle and three wood and cast iron pavilions. 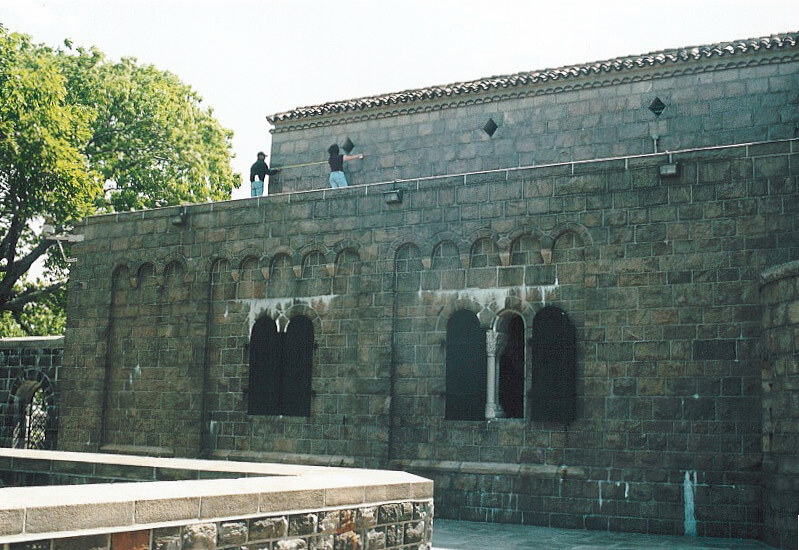 The castle had lain vacant for 30 years and was reopened in 1981 after an extensive restoration that in some respects only exacerbated the building's demise. 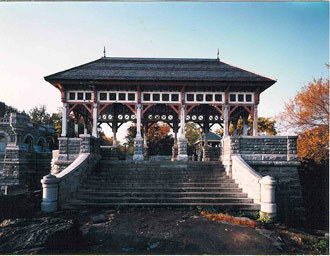 The original Northwest Pavilion was removed from the Park in the early 1900s. 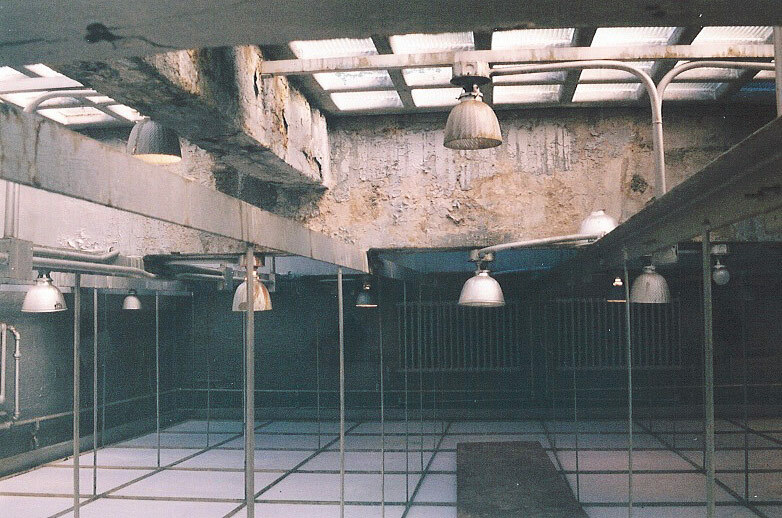 It was reconstructed in 1981, but had become a life safety hazard by 1994. 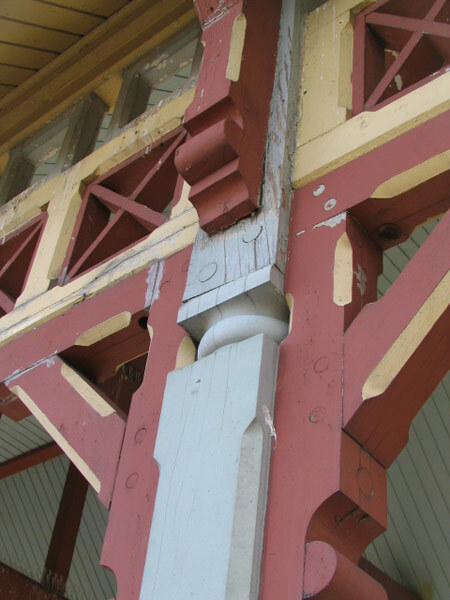 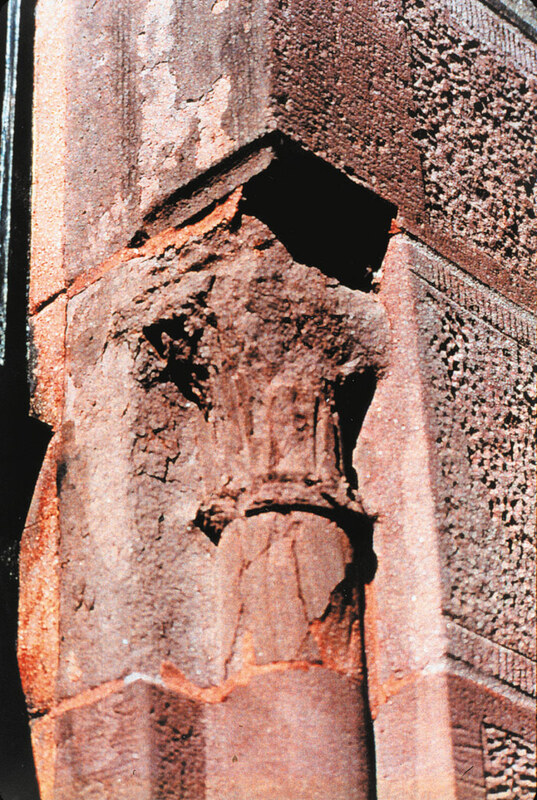 The Pavilion was rebuilt in 1994 from the vergeboard down, due to the severe deterioration of the Southern Pine columns, some of which had been almost completely eaten away by a combination of fungal decay, mold, carpenter ants and beetles. 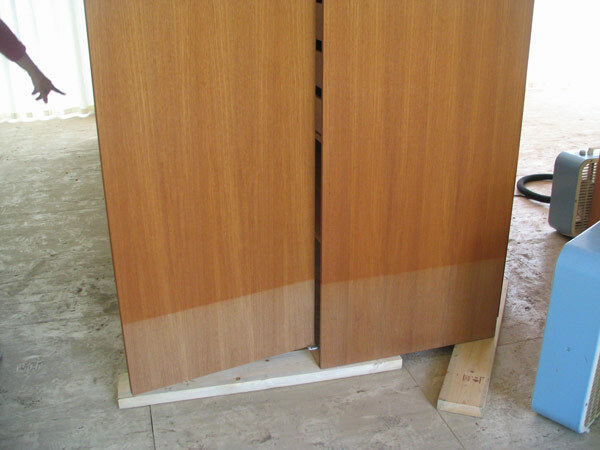 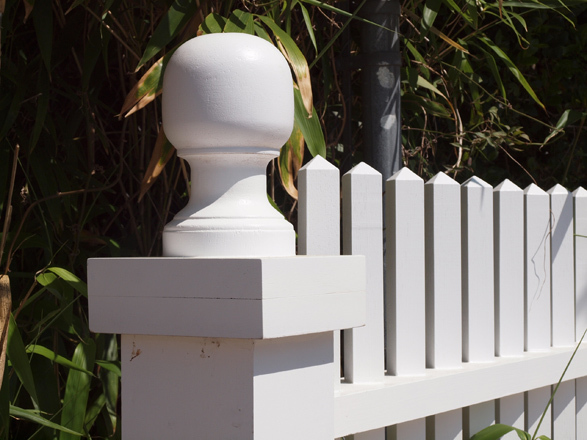 The 17 columns were rebuilt to the original Vaux designs, but in glue-laminated jarrah, one of the most durable and sustainably harvested woods in the world. 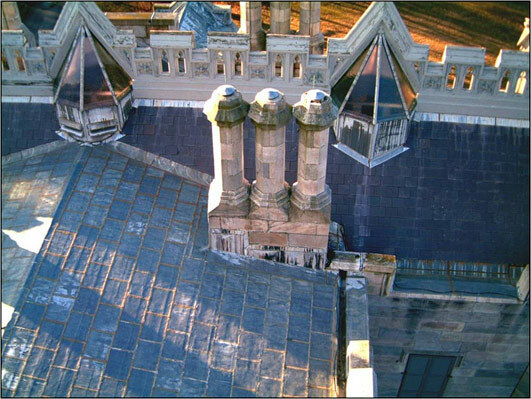 Low VOC paints were used to paint the structure, and new passive ventilation openings were designed for the crest of the roof. 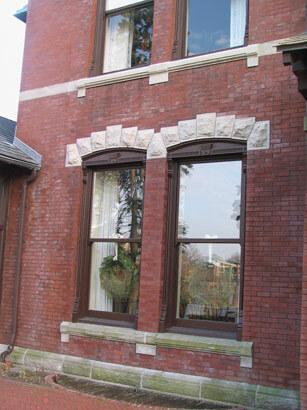 BRUCEMORE Cedar Rapids, Iowa Exterior restoration of Queen Anne-style National Historic Landmark mansion designed in the 1880s. 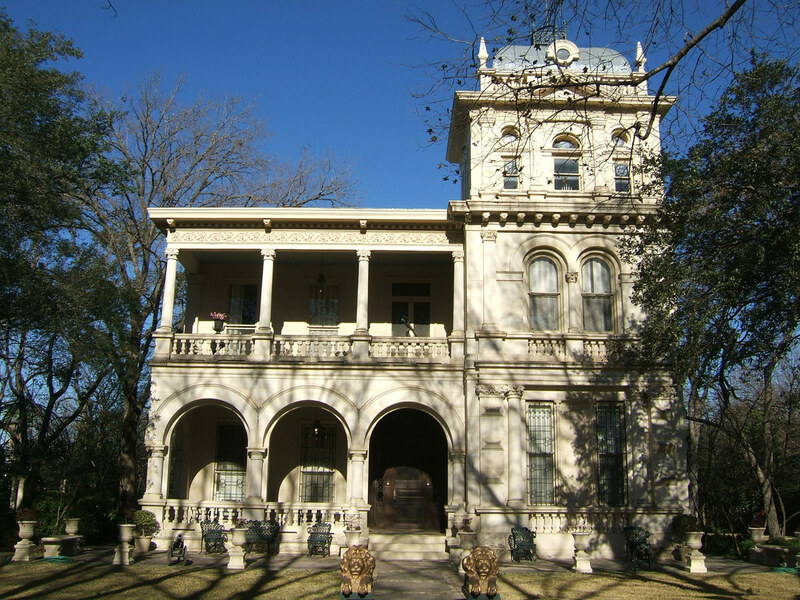 Work at the mansion included phased restoration of brick walls, reconstruction of previously removed windows, and repair of damage to porches from severe ice storms. 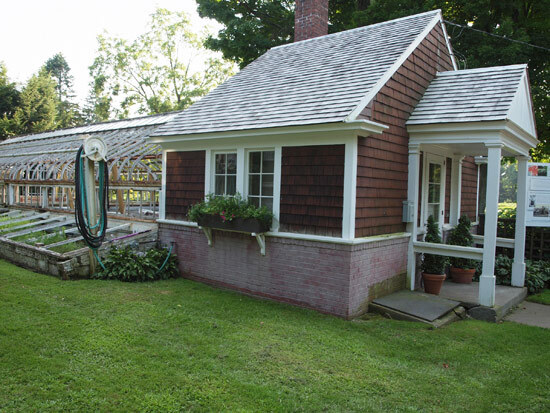 Other projects at the site included reuse and restoration of a Lord & Burnham greenhouse including installation of geothermal wells for a site-wide heating system. 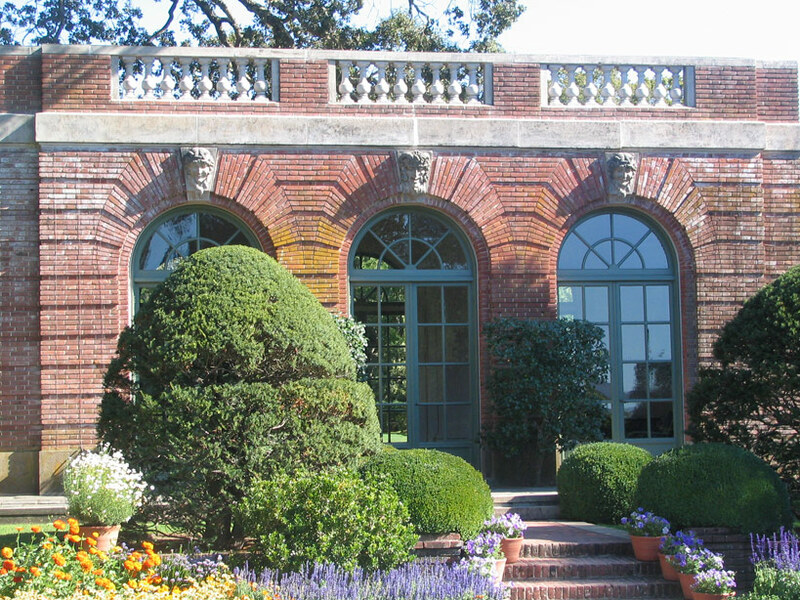 As Chief Architect of the National Trust, Barbara Campagna managed the restoration and rehabilitation work and developed the master planning approach at this National Trust Historic Site from 2006-2011. 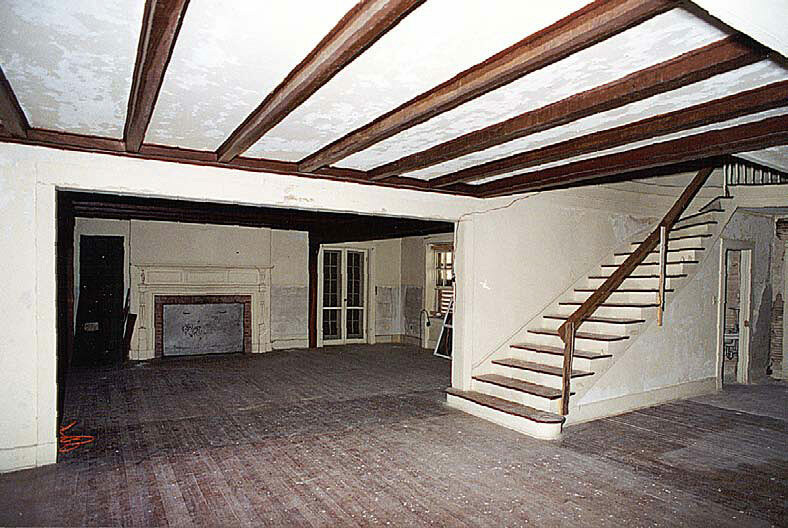 CLIVEDEN Philadelphia, Pennsylvania Exterior stucco restoration, environmental planning and climate management program, restoration of wood windows, doors and trim, for 1763 National Historic Landmark Revolutionary-era mansion and its outbuildings. 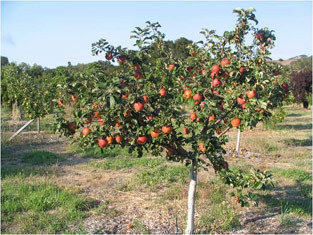 A sustainable Environmental Master Plan was developed which included a programming analysis of the organization. 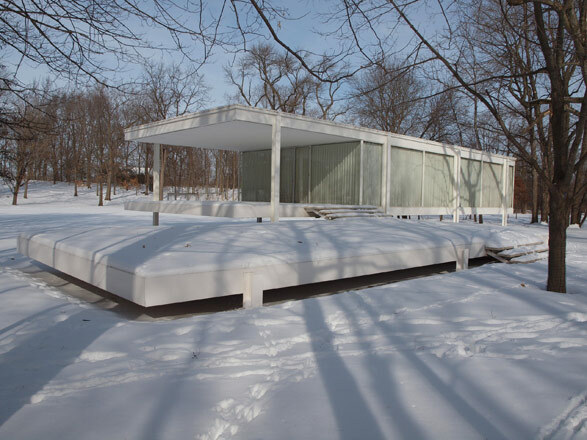 Barbara managed the study and team to develop a prioritized strategy for the three main buildings on the site – Cliveden, Upsala and the carriage house. 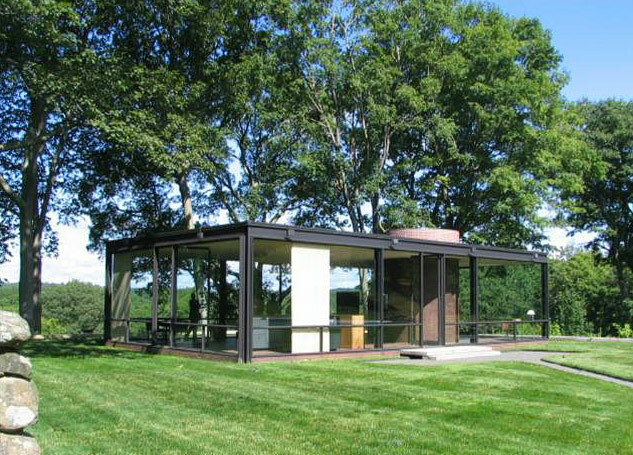 The team worked closely together to determine the most sustainable and lightest impact possible on all buildings and the landscape which involved relocating offices out of Cliveden to Upsala, making improvements to the building envelope by reducing air infiltration, moisture infiltration and heat loss and gain through the exterior walls. 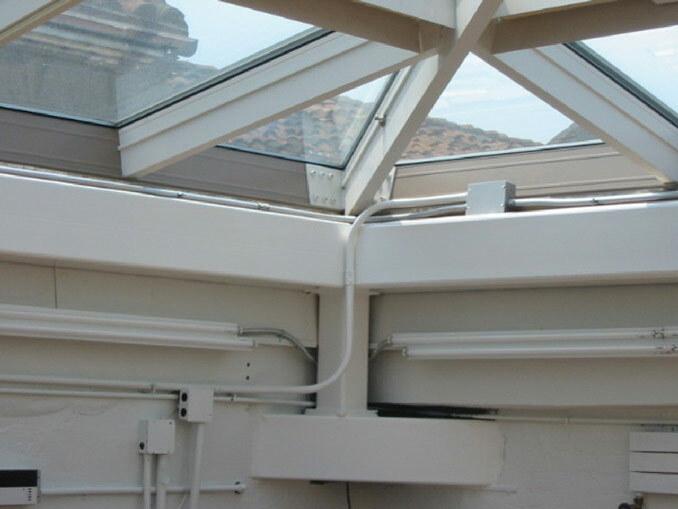 A new energy efficient heating system and approach to the building was installed. 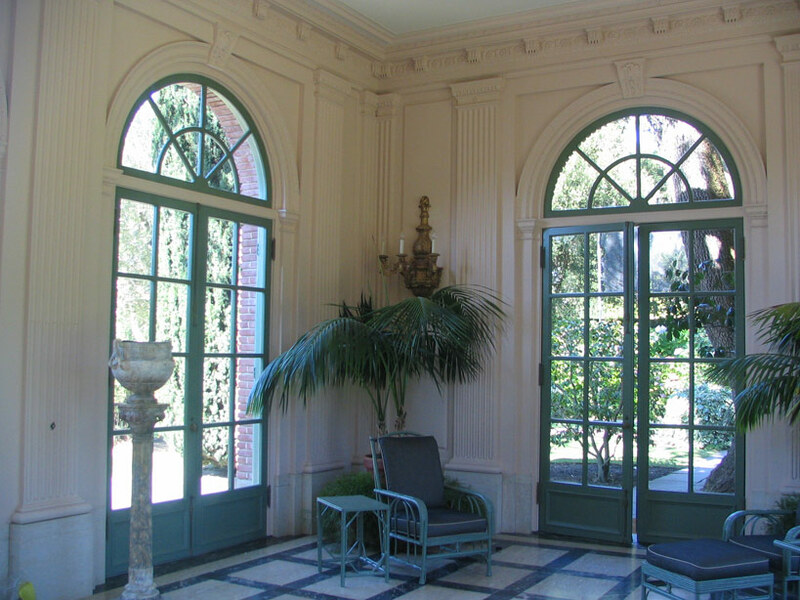 As Chief Architect of the National Trust, Barbara Campagna managed the restoration and rehabilitation work and developed the master planning approach at this National Trust Historic Site from 2006-2011. 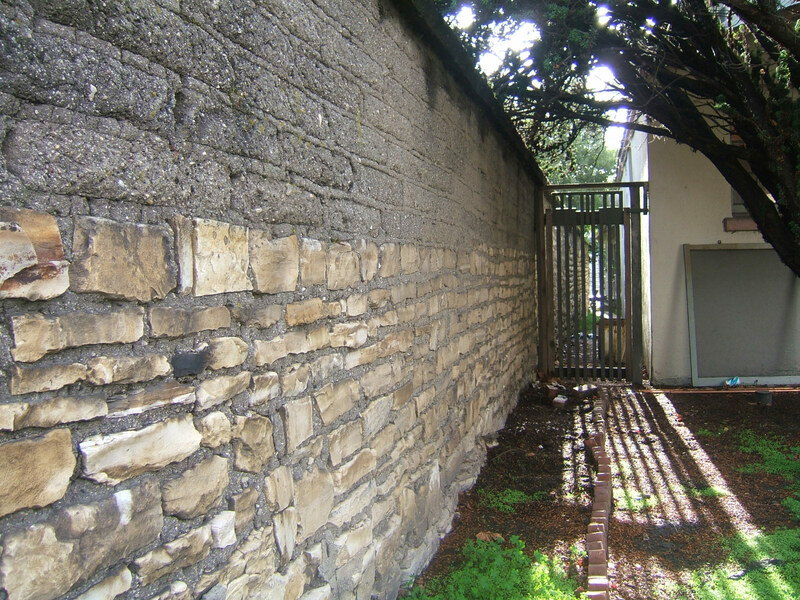 COOPER-MOLERA ADOBE Monterey, California Site master plan, cultural landscape plan, exterior adobe evaluation and restoration, and barn restoration and adaptive use for three acre 1832 historic farm and outbuildings. 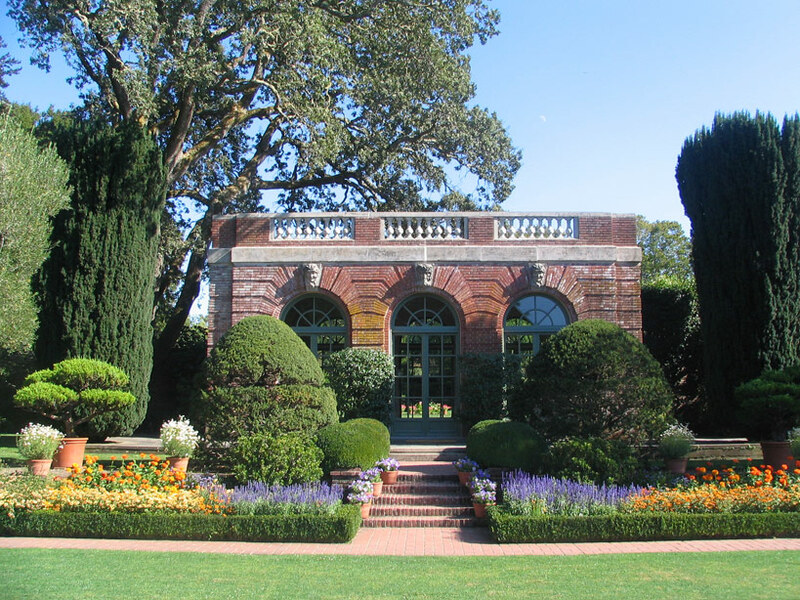 As Chief Architect of the National Trust, Barbara Campagna managed the restoration and rehabilitation work and developed the master planning approach at this National Trust Historic Site from 2006-2011. 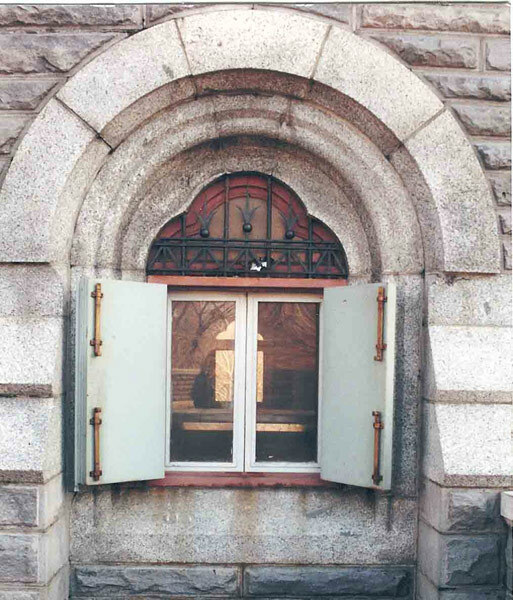 COEUR D’ALENE FEDERAL BUILDING Couer D’Alene, Idaho Redesign of security entrance and accessible entry in National Register-listed Louis A. Simon designed courthouse opened in 1928. 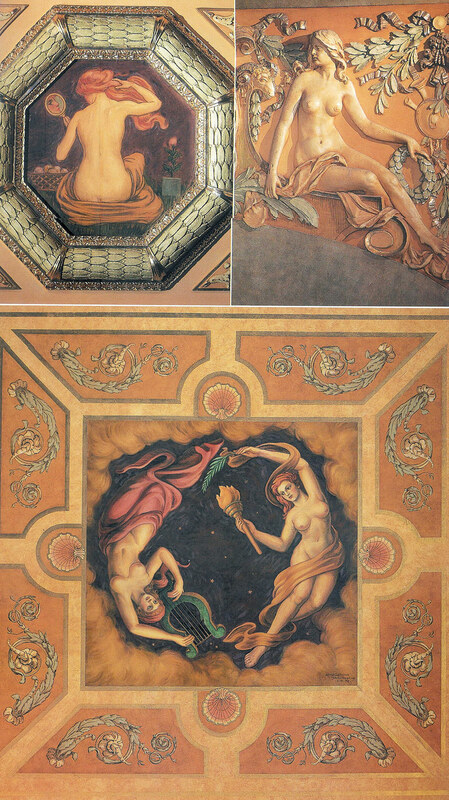 Plaster restoration in historic courtroom and auditorium. 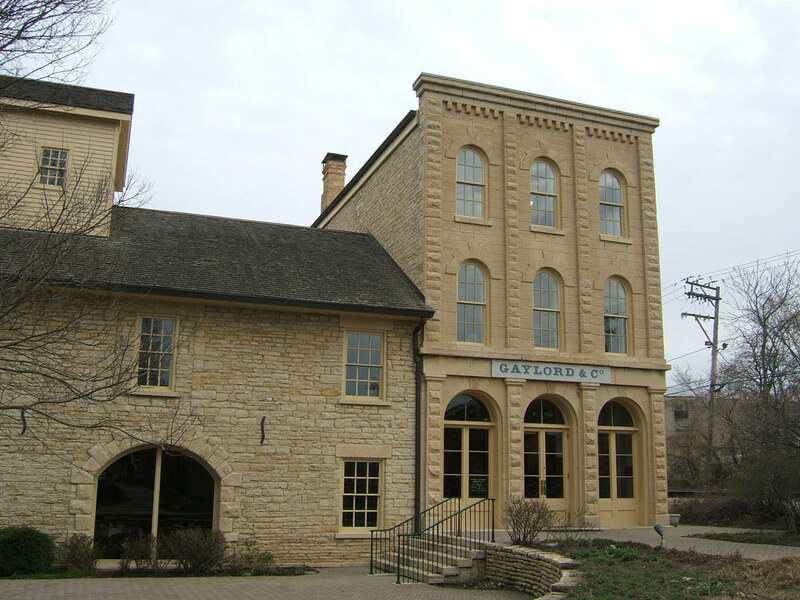 As the GSA Regional Historic Preservation Officer and Preservation Architect, Barbara Campagna developed and managed the design, preservation and regulatory review approaches at the site. 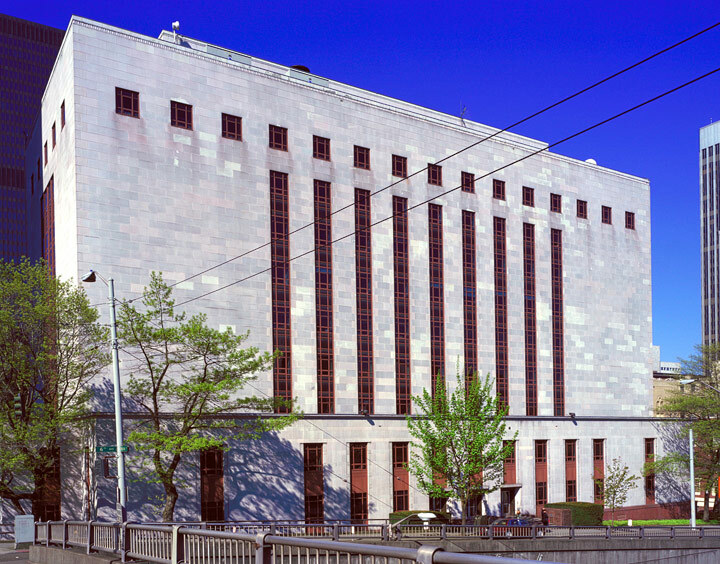 NAKAMURA COURTHOUSE, Seattle, WA The United States Courthouse in Seattle, designed by architect Gilbert Stanley Underwood, was the first building in the west designed exclusively as a courthouse. 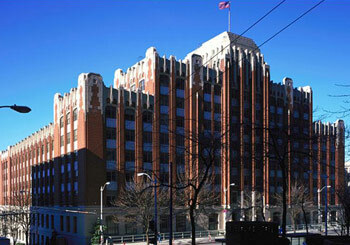 The terra cotta clad Art Deco building was completed in 1940 and rehabilitated in 2006 as a LEED Silver project. 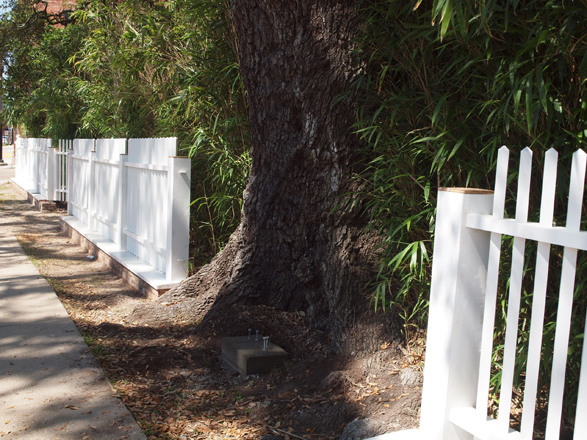 The changes made to the historic fabric of the site including the insertion of a new entrance, underground parking garage and new walkway and ramps plus the removal of some much-beloved trees required that a complex mitigation program be followed. 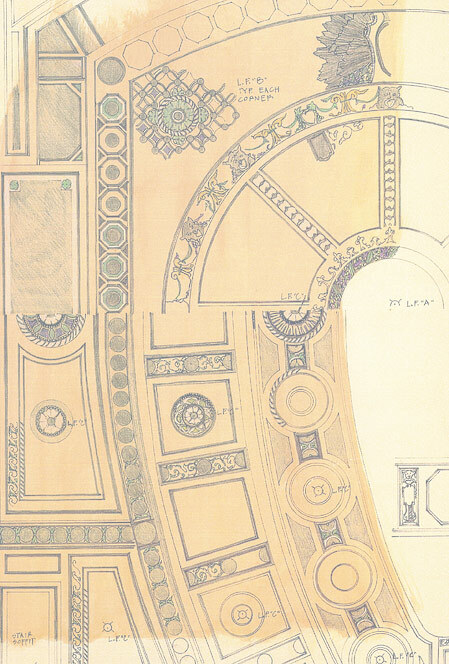 As the preservation architect for GSA, Barbara worked closely with the consulting design and preservation architects determining and conducting preservation treatments and evaluation. 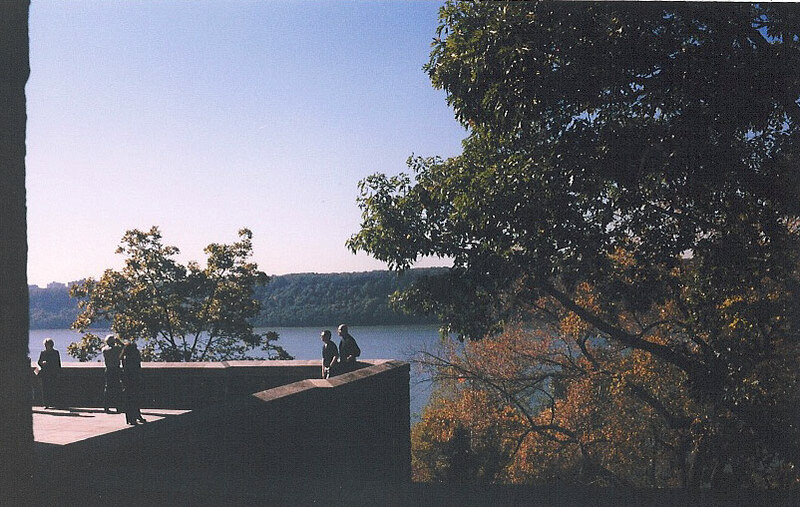 Barbara created and coordinated community and agency review workshops, developed an educational program to document the project and process, and prepared all the Finding of Adverse Impact documents. 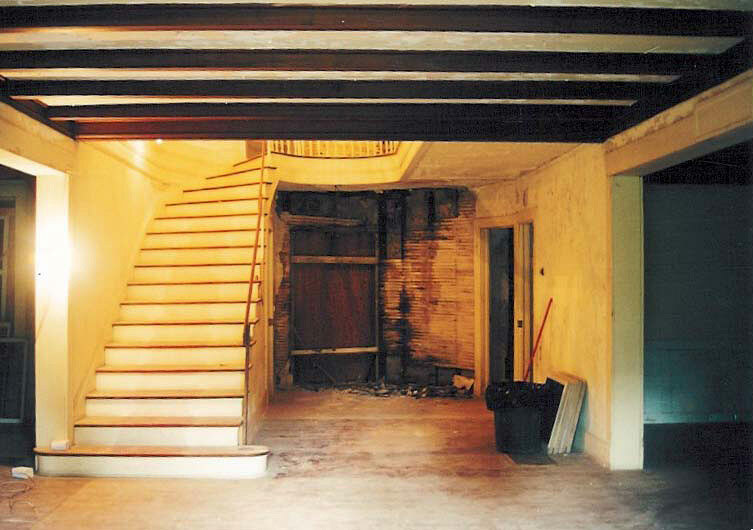 STEPHEN DECATUR HOUSE Washington, DC Exterior roof and masonry restoration, and interior entry hall restoration of Benjamin Latrobe-designed National Historic Landmark residence across the street from the White House, designed in 1818. 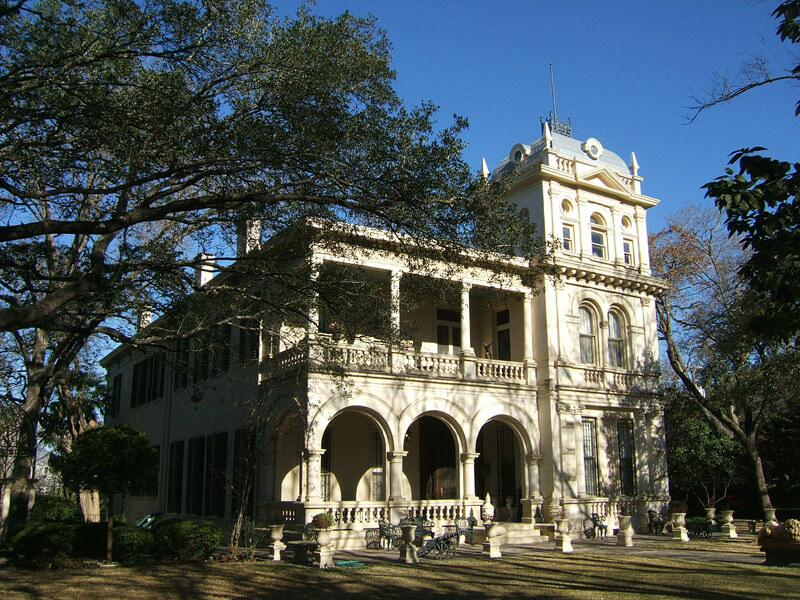 As Chief Architect of the National Trust, Barbara Campagna managed the restoration and rehabilitation work at this National Trust Historic Site from 2006-2011. 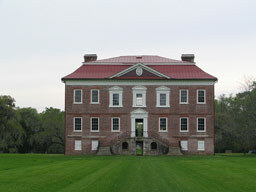 DRAYTON HALL Charleston, South Carolina Exterior stabilization of 1738 Georgian Palladian National Historic Landmark mansion considered by many to be the best example of “preservation” in America. 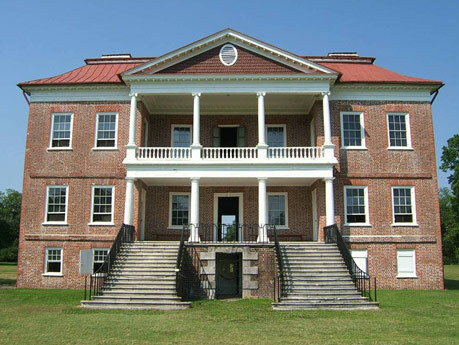 Located along the historic Ashley River, additional projects at the 120 acre site have included development of a plan to appropriately memorialize the African-American burial ground on the site and development of a site master plan for several new buildings to house an interpretive education center and staff offices. 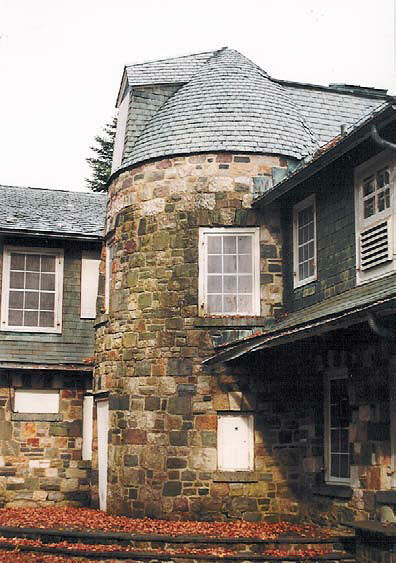 As Chief Architect of the National Trust, Barbara Campagna managed the restoration and rehabilitation work and developed the programs for the new buildings at this National Trust Historic Site from 2006-2011. 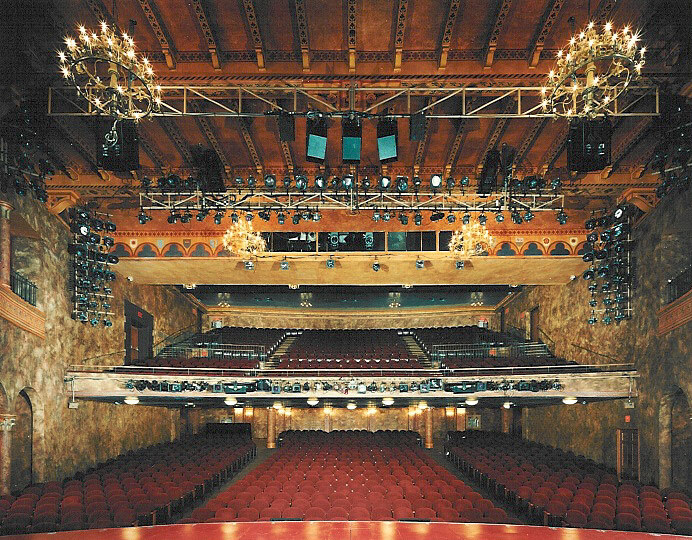 EUGENE O’NEILL THEATRE New York, NY The Eugene O’Neill Theatre was designed in 1925 by Architect Herbert Krapp in the Adamesque style. 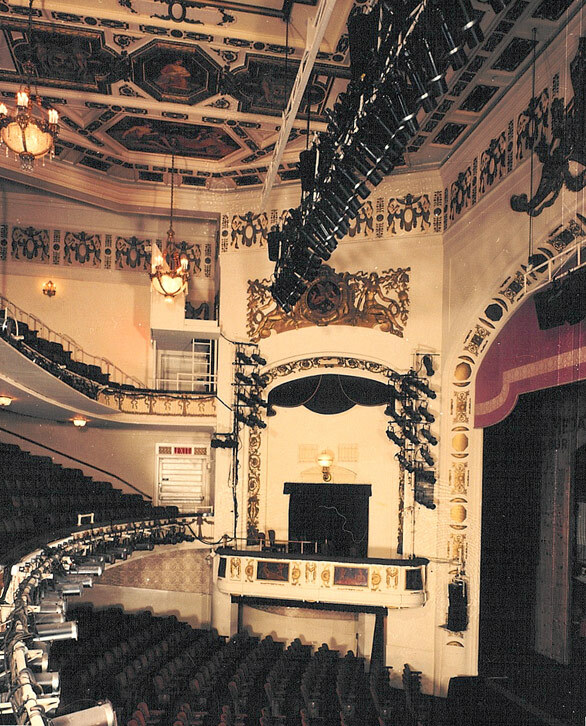 The theatre remained in use for most of its history, but had suffered from the vagaries of time. 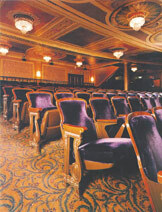 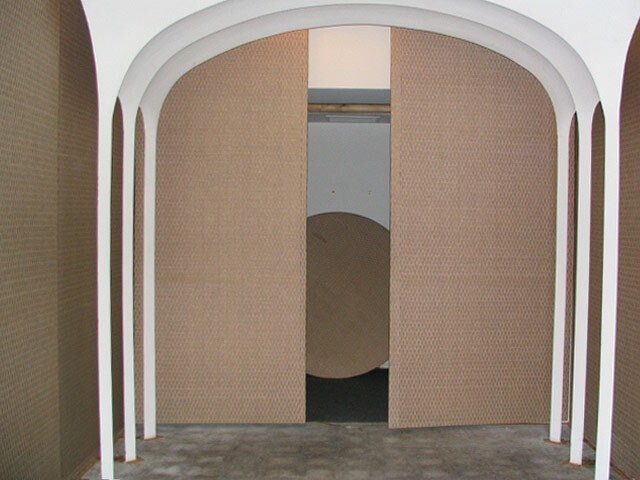 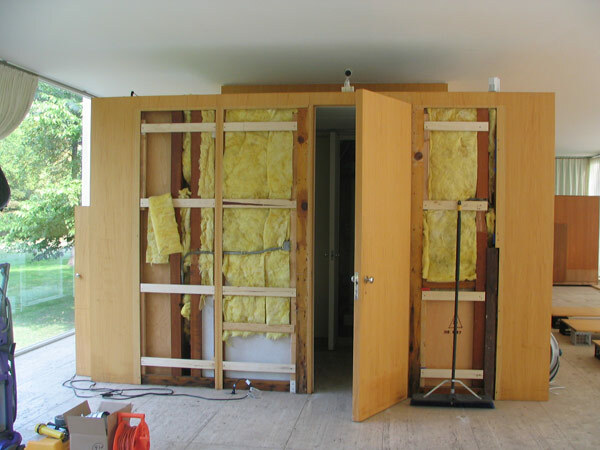 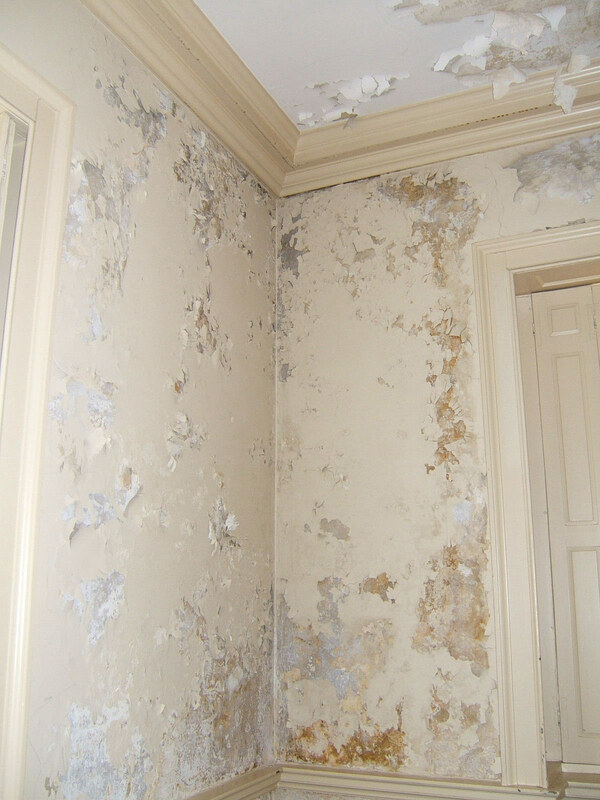 Its original carpeting, seating, draperies and fabrics had been removed. 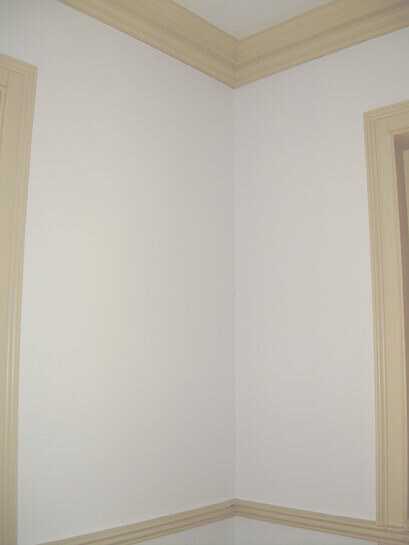 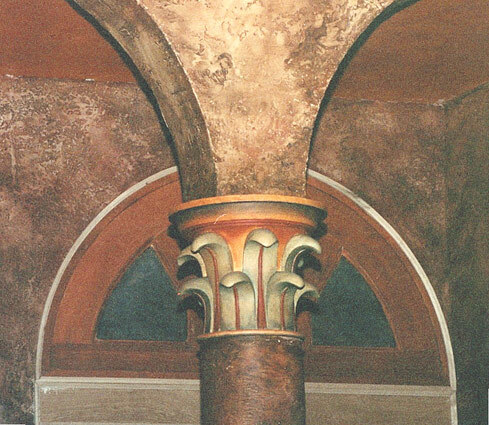 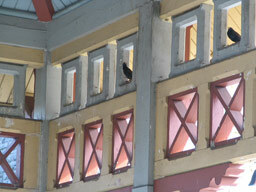 Its original vibrant color scheme had been lost from years and years of painting. 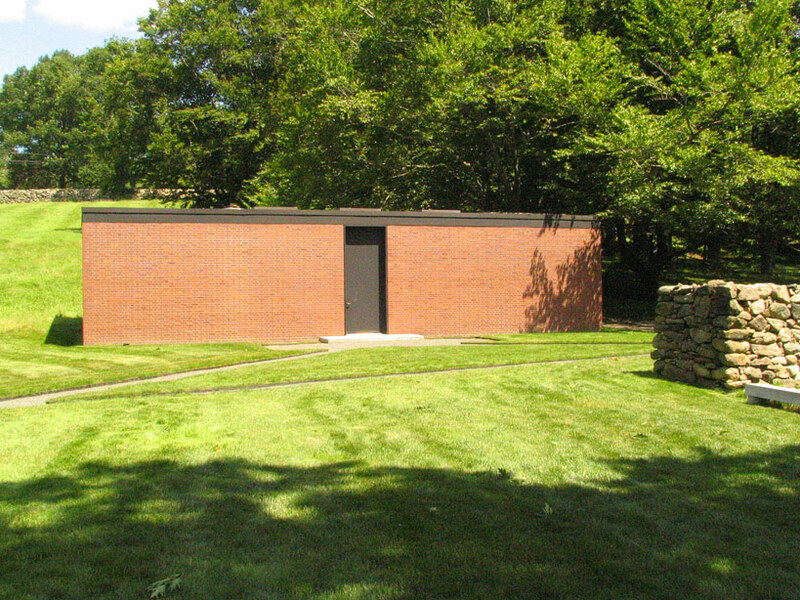 Ms. Campagna completed the project with her previous firm, Campagna & Russo Architects. 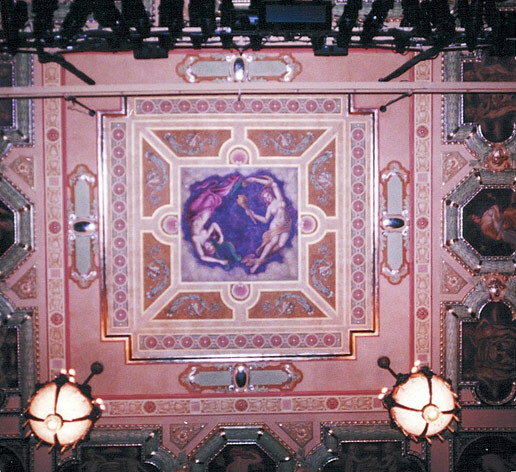 Through paint analysis and archival research it was determined that the original scheme was a vibrant purple and gold. 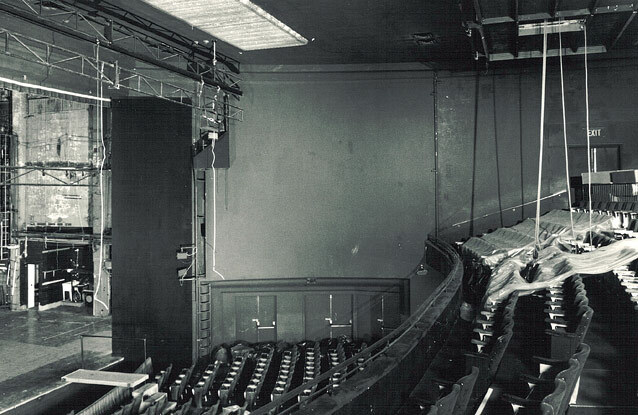 A restoration scheme was designed that interpreted the original yet allowed for integration of new technology and contemporary theatre requirements. 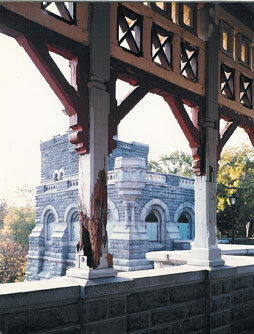 The project received a Certificate of Merit for Restoration from the New York City Landmarks Preservation Commission in 1994. 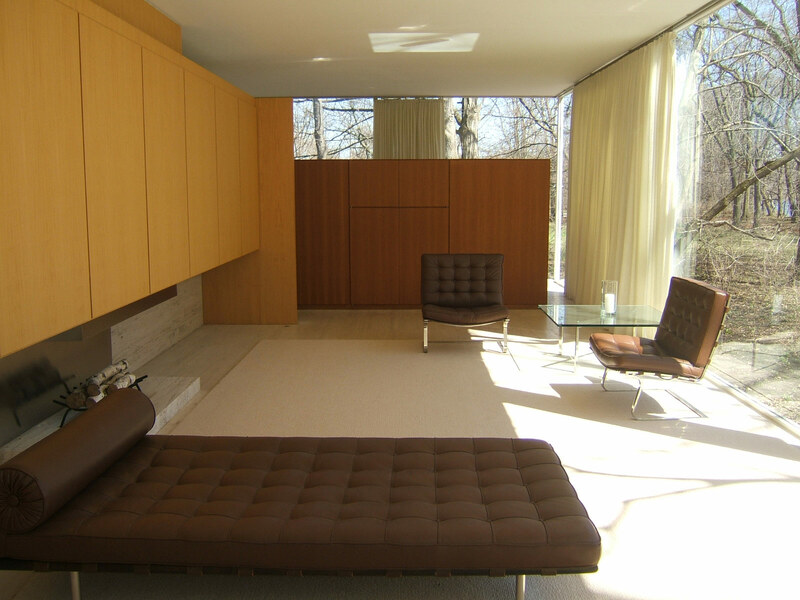 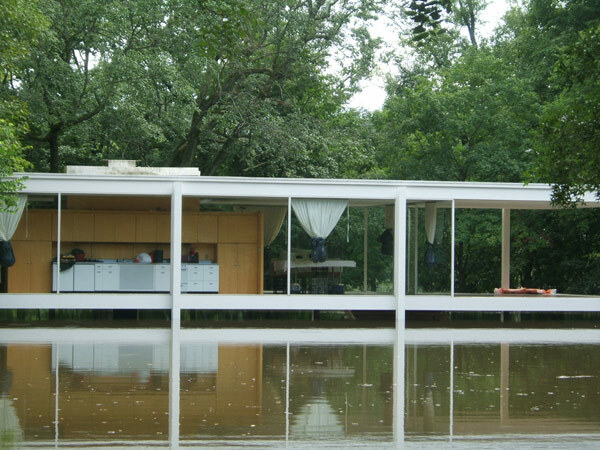 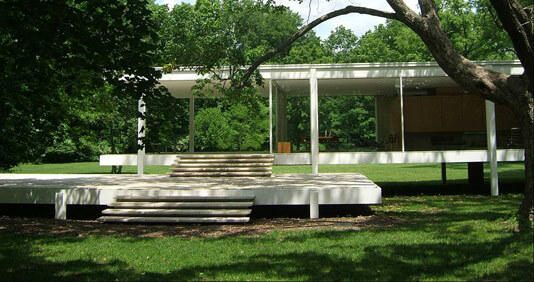 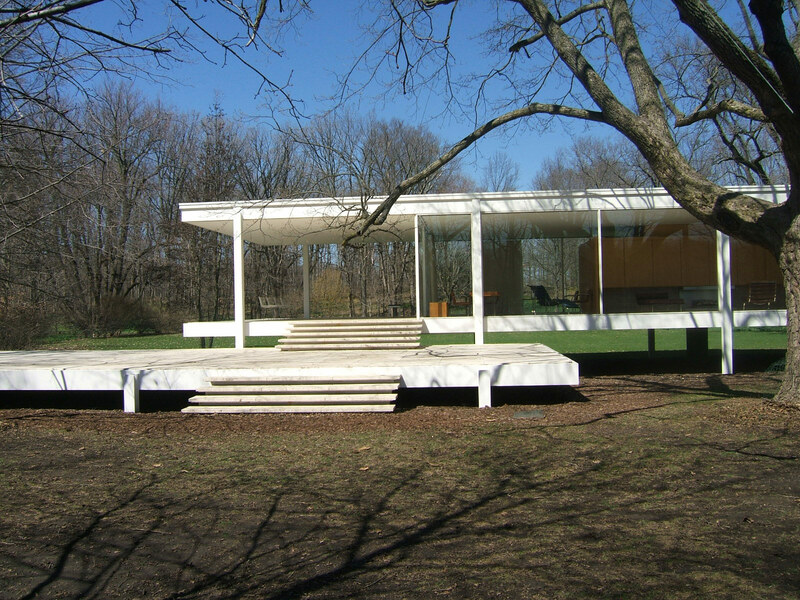 FARNSWORTH HOUSE Plano, Illinois Restoration and Cyclical Maintenance Plan of National Historic Landmark Mies van der Rohe-designed modern icon, opened in 1951. 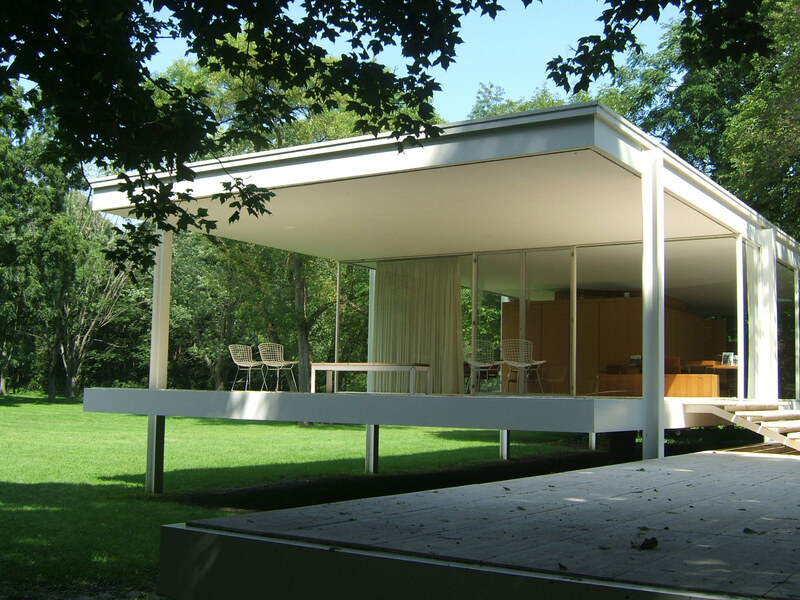 Projects included curtain wall restoration, new roof, repairs to travertine steps, master plan for interior restoration and ongoing flood mitigation work and repairs. 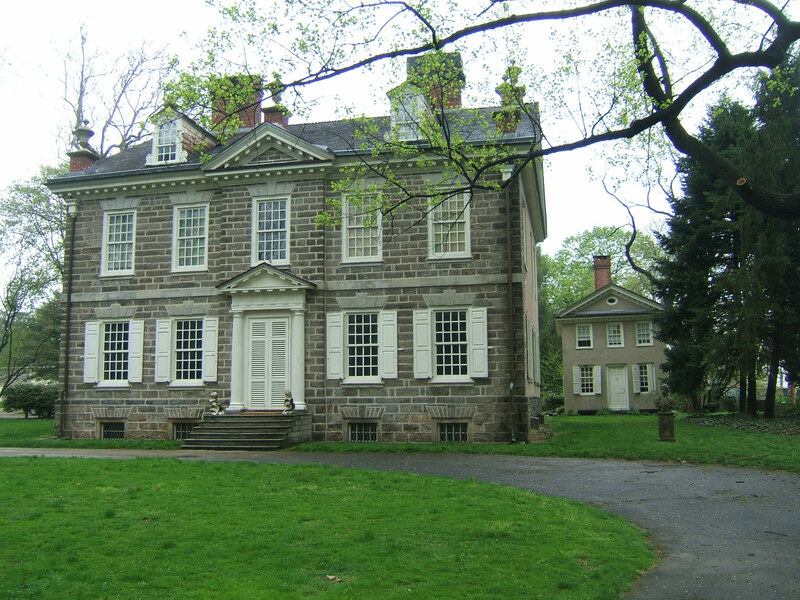 As Chief Architect of the National Trust, Barbara Campagna managed the restoration and rehabilitation work at this National Trust Historic Site from 2006-2011. 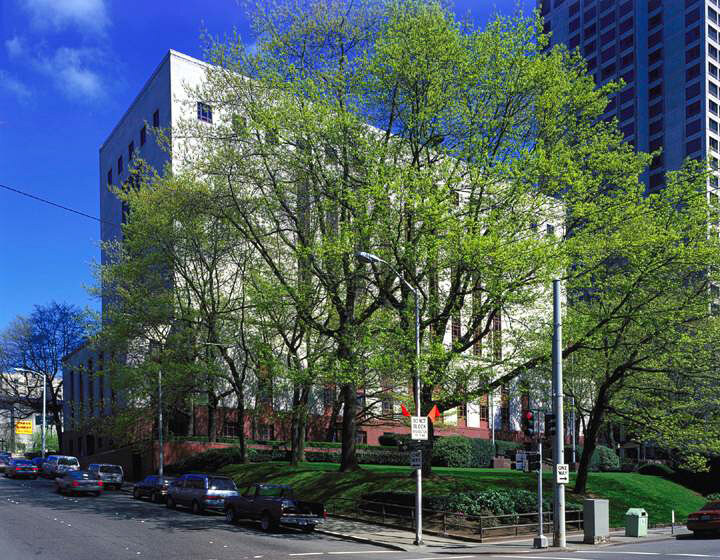 OLD FEDERAL OFFICE BUILDING Seattle, Washington Restoration of roofs and elaborate terra cotta features of National Register-listed office building designed by James Wetmore in 1931. 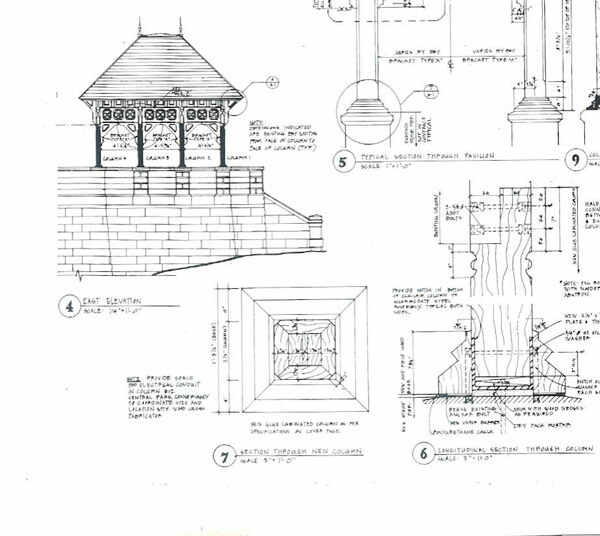 Preparation of design guidelines for historic corridors and public spaces. 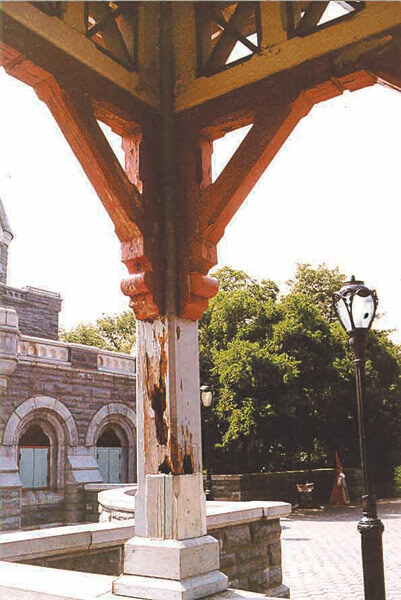 As the GSA Regional Historic Preservation Officer and Preservation Architect, Barbara Campagna developed and managed the design, preservation and regulatory review approaches at the site. 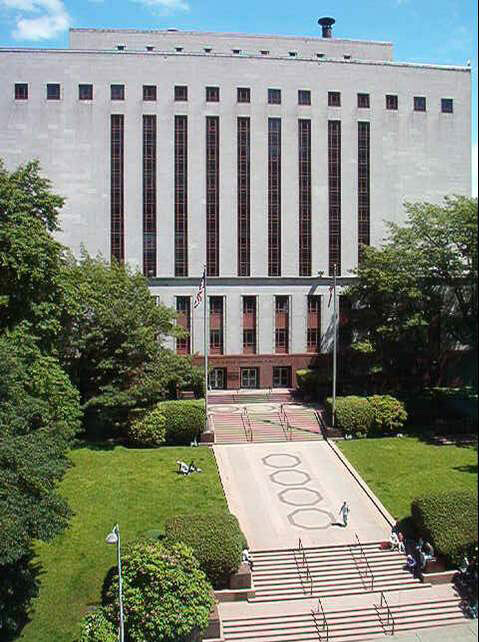 FEDERAL RESERVE BANK OF NEW YORK New York, NY The Federal Reserve Bank of New York, constructed between 1918-1924 and 1932-1935, is one of the most impressive buildings in New York City, occupying a full city block in Lower Manhattan. 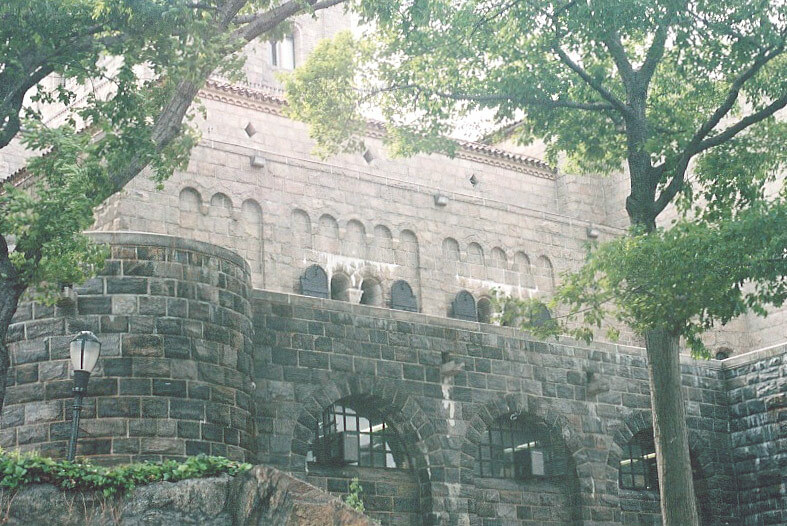 It was designed by York & Sawyer Architects who used Florentine Renaissance detailing to create an imposing medieval bastion, an appropriate symbol for the home of a significant part of the world’s gold reserves. 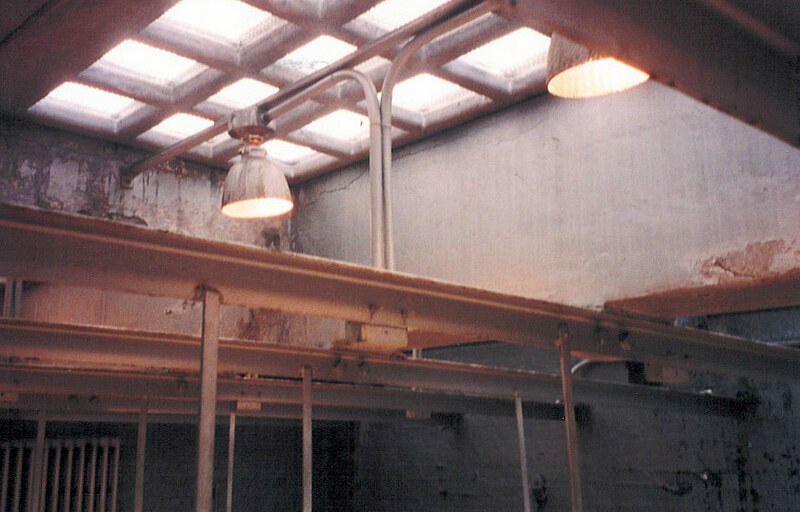 Ms. Campagna led a three-year effort to document and analyze the interior and exterior if of the building, and restore its exterior and key interior spaces. 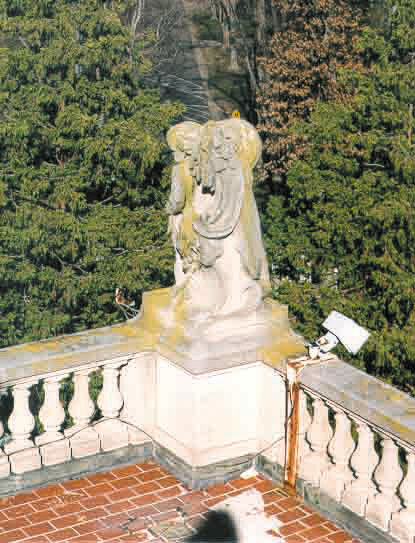 Exterior projects included the restoration of the 14th floor roof and terrace, masonry cleaning, installation of blast-proof film on all windows and doors, and a window survey of the 1300 wrought bronze windows. 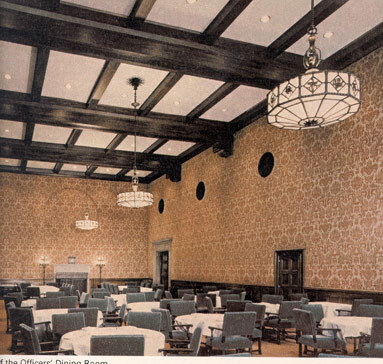 Interior projects included the historically appropriate redesign of the ceiling in the Officers' Dining Room, and reconstruction of a plaster vaulted ceiling in the auditorium. 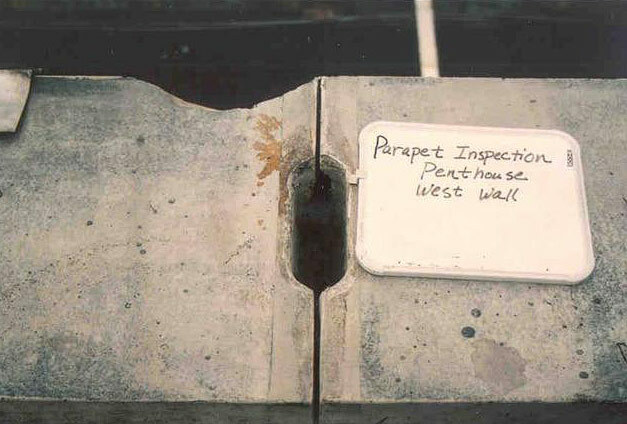 Since 2006, Barbara has been serving on a peer review panel to review the ongoing interior restoration work, much of which is based on the plans she developed earlier. 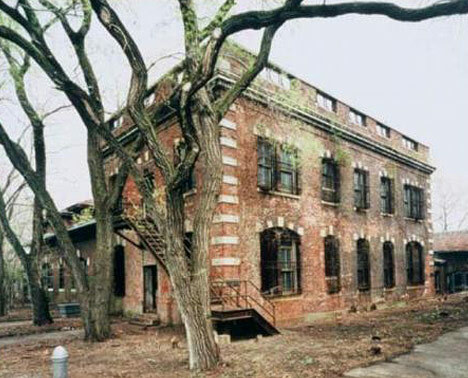 ELLIS ISLAND NATIONAL HISTORIC SITE Ellis Island, New Jersey Stabilization of crumbling building fabric and structure of Psychopathic Ward and Laundry buildings, part of a 29-building hospital complex, a National Historic Monument, located on the New Jersey side of Ellis Island. 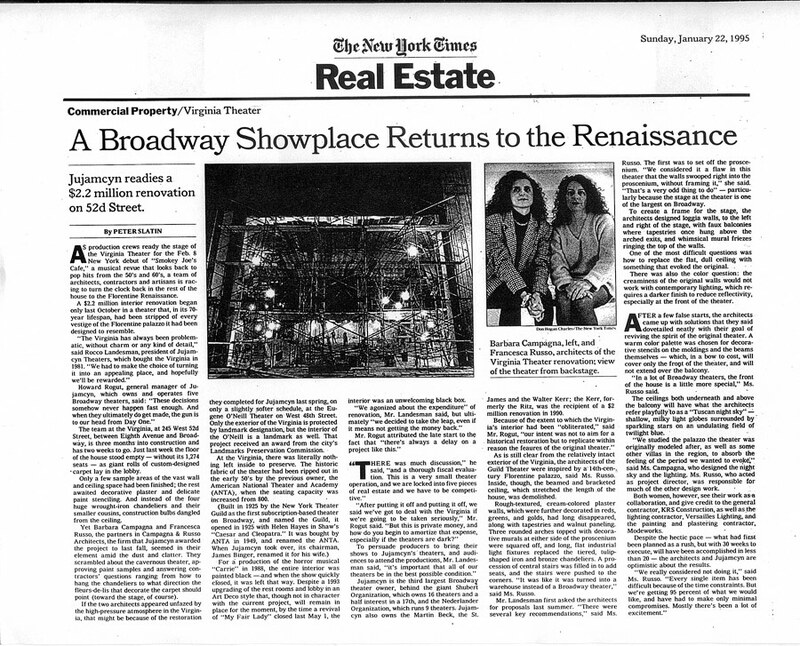 Barbara Campagna directed this project while a principal at a New York City A/E firm. 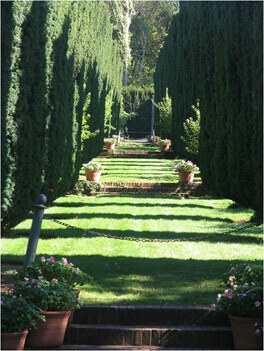 FILOLI Woodside, California Restoration and seismic upgrade of Garden Tea House designed in 1930 by California architect Willis Polk, on grounds of National Register-listed Georgian Revival mansion surrounded by 650 acres of formal gardens and heirloom orchards. 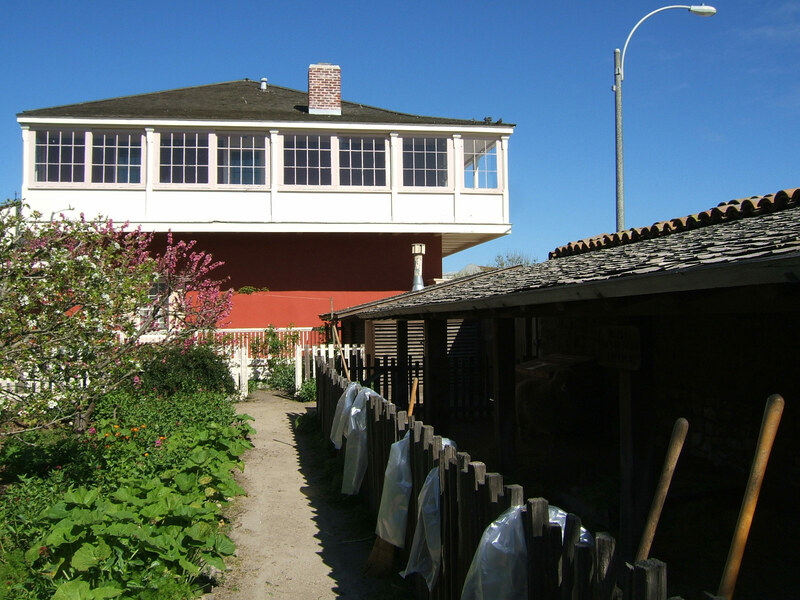 Restoration and seismic upgrade of the site’s iconic clock tower at the site’s shop located in the original carriage house. 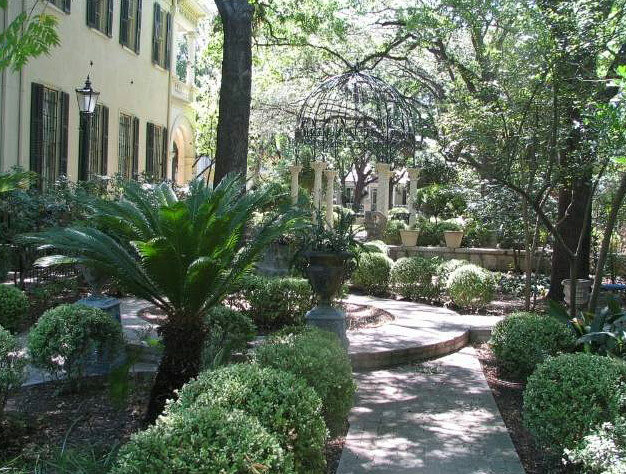 As Chief Architect of the National Trust, Barbara Campagna managed the restoration and rehabilitation work at this National Trust Historic Site from 2006-2011. 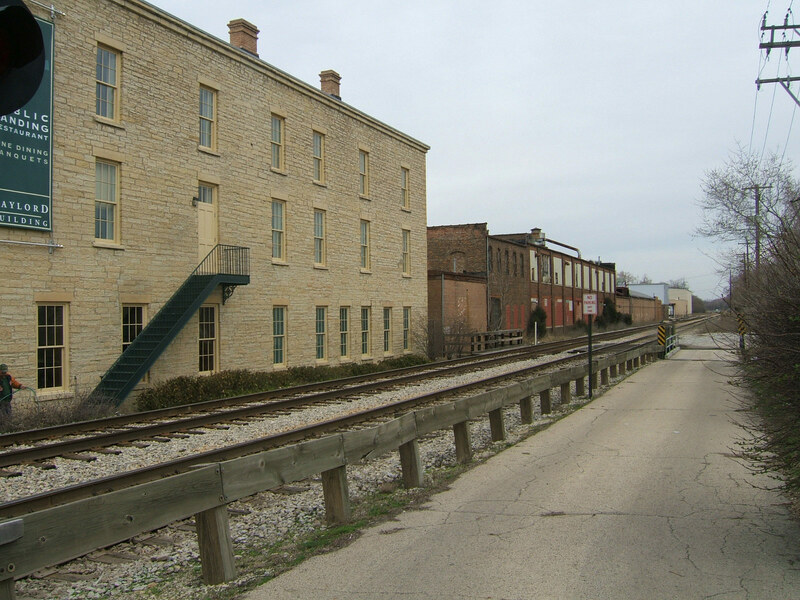 GAYLORD CANAL BUILDING, Lockport, Illinois Exterior restoration of National Register-listed canal building designed in 1838. 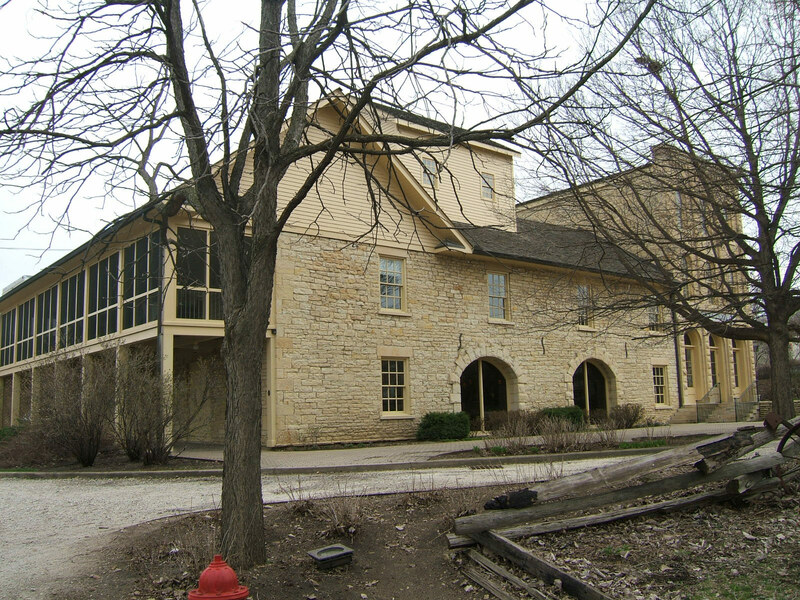 This warehouse and store is one of the last remaining buildings along the Illinois & Michigan Canal in central Illinois and was adapted as a restaurant, visitor center and gift shop. 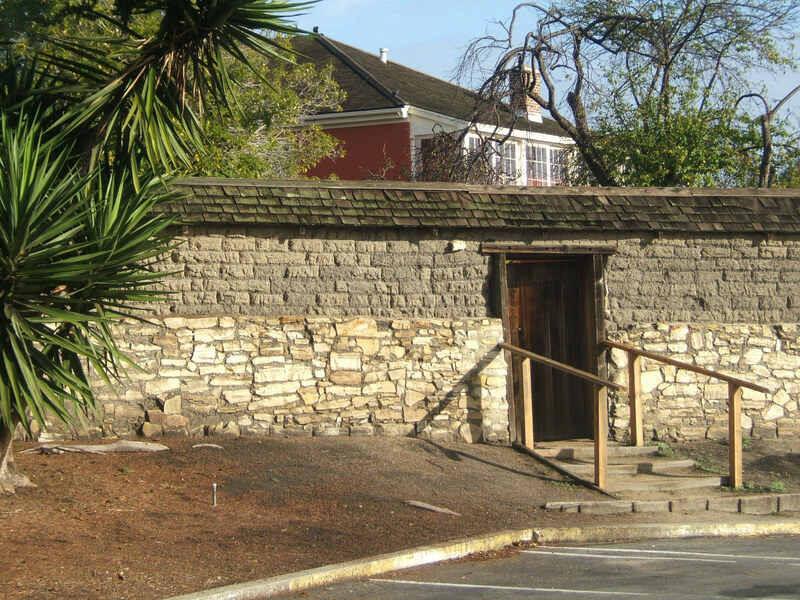 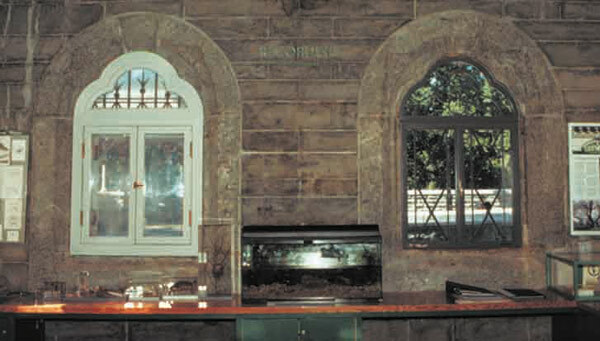 The restoration scope of work included brick and limestone repairs, public courtyard repairs, and new fencework along the canal to separate the outdoor restaurant from the public walkway. 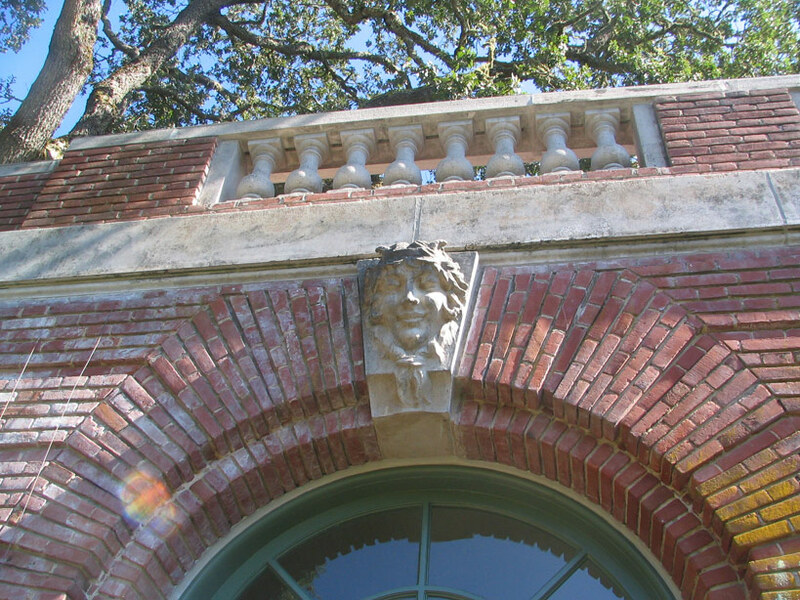 As Chief Architect of the National Trust, Barbara Campagna managed and designed the restoration and rehabilitation work for this National Trust Historic Site from 2006-2011. 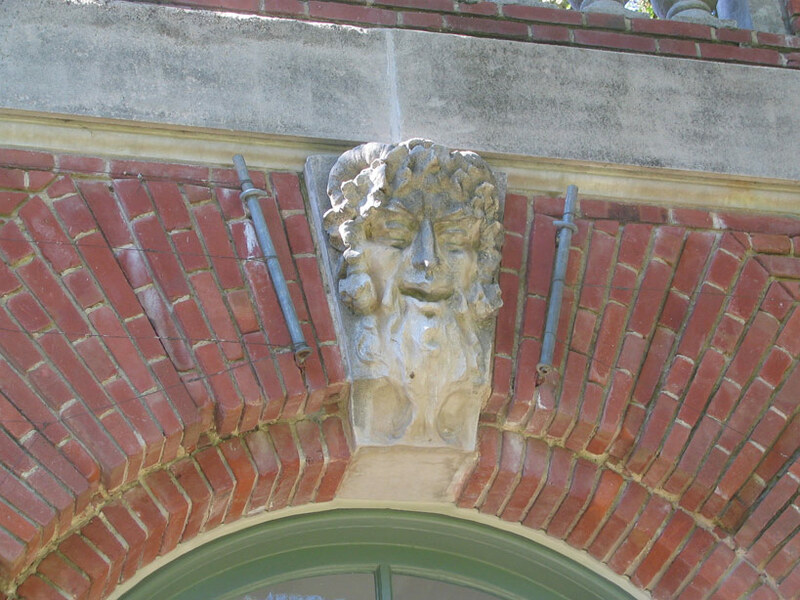 THE GUGGENHEIM MEMORIAL LIBRARY, MONMOUTH UNIVERSITY West Long Branch, New Jersey The Murry and Leoni Guggenheim Library was built in 1903 originally as a summer residence for the family. 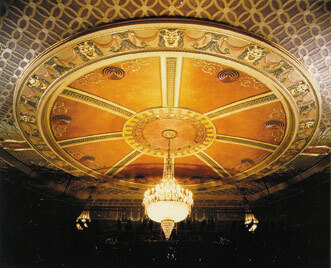 The two-story Beaux Arts style building was designed by Carrere and Hastings. 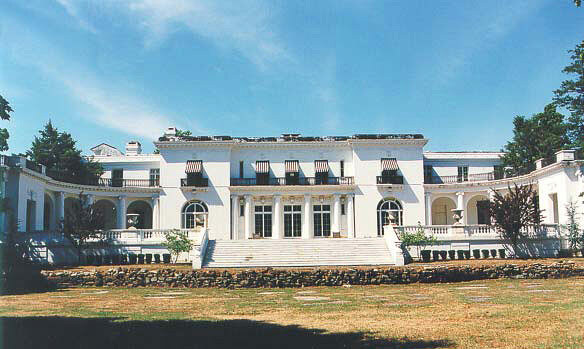 Monmouth University obtained the mansion in 1960 and converted it into their library. 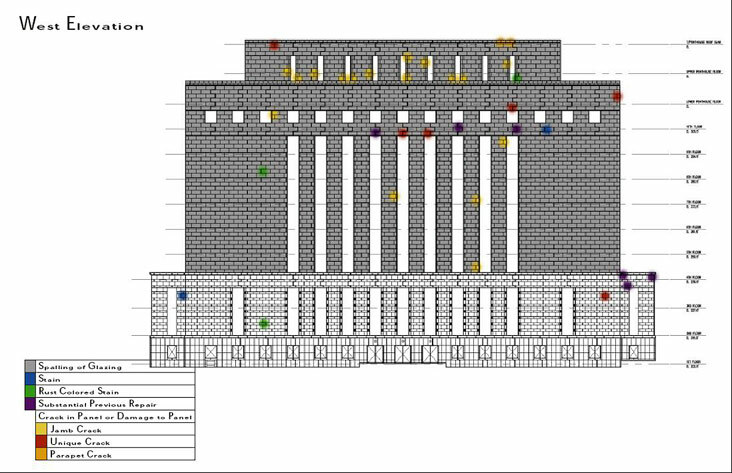 The design is an elegant composition of subtle, refined ornament and smooth stuccoed wall surfaces that organize the main block and dependencies in an engaging way. 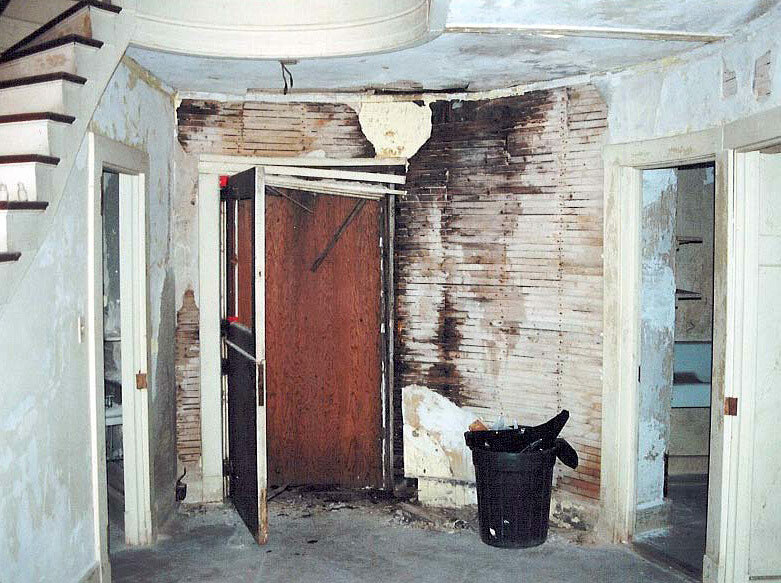 The building suffered from severe deterioration and had been fenced off as a potential life safety hazard. 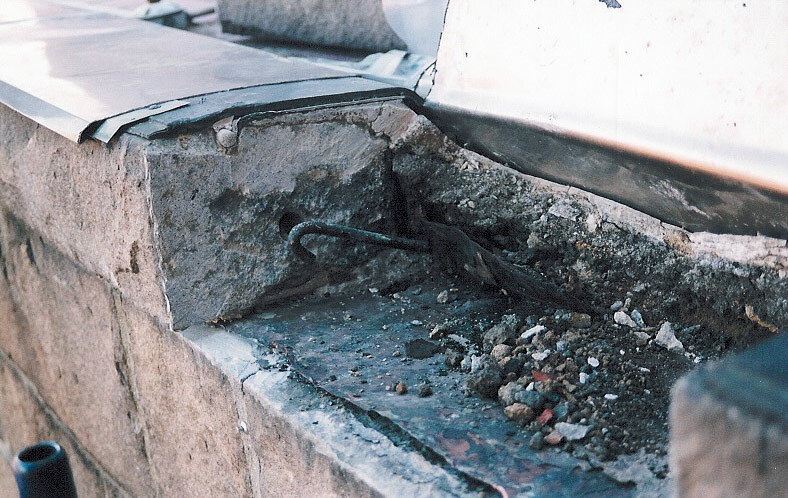 While a principal at a New York City A/E firm, Barbara Campagna prepared an existing conditions review and developed the strategy for restoration which called for an effective watertight exterior envelope including rebuilt parapets, new roof and flashing, stucco restoration, stucco ornament re-attachment, metalwork restoration, repair of windows, doors, lintels, stairs and latticework. 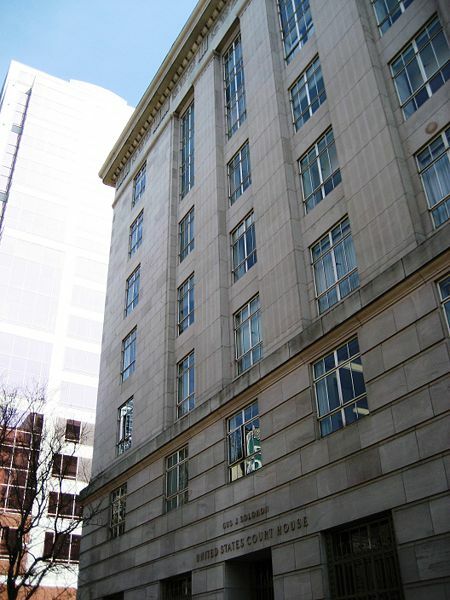 GUS SOLOMON COURTHOUSE Portland, Oregon Restoration and cleaning of exterior sandstone, granite and terra cotta and redesign of landscape around the base of the building to incorporate more sustainable water management practices. 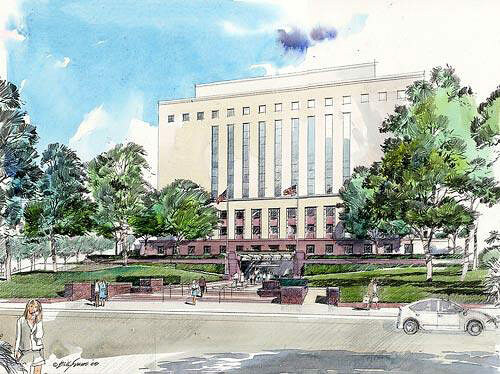 National Register-listed courthouse was designed by Morris H. Whitehouse in 1932. 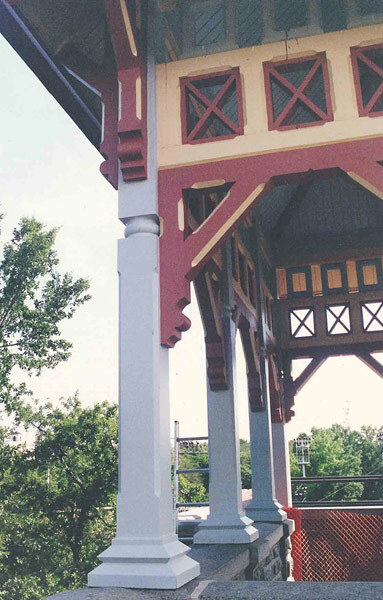 As the GSA Regional Historic Preservation Officer and Preservation Architect, Barbara Campagna developed and managed the design, preservation and regulatory review approaches at the site. 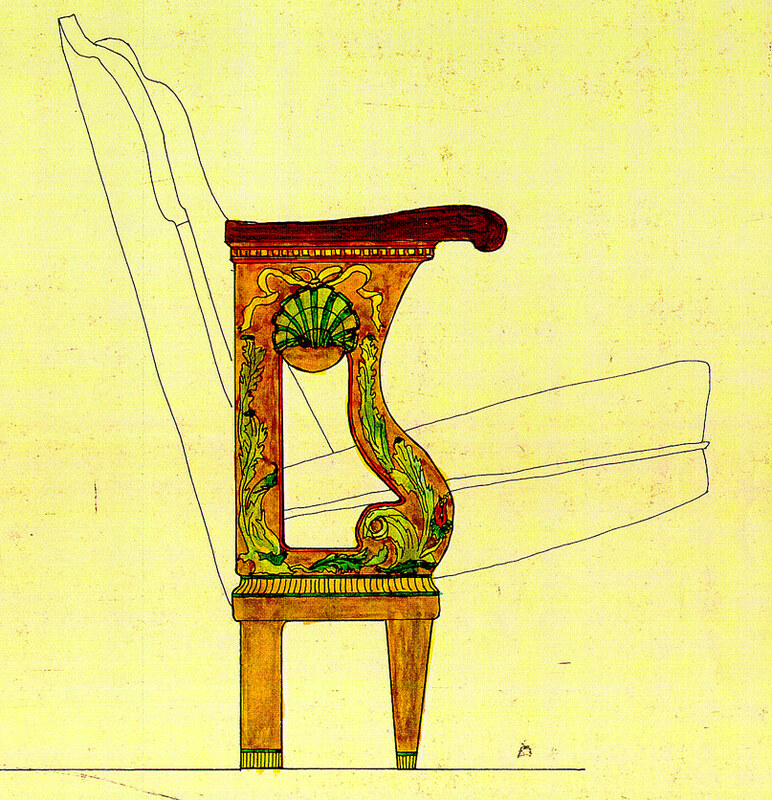 JAMES A. REDDEN U.S. 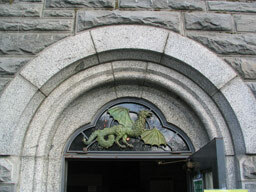 COURTHOUSE Medford, Oregon Design of accessible entry at main entrance and rehabilitation of historic restrooms of this National Register-listed American Renaissance Revival style courthouse designed by Oscar Wenderoth in 1915. 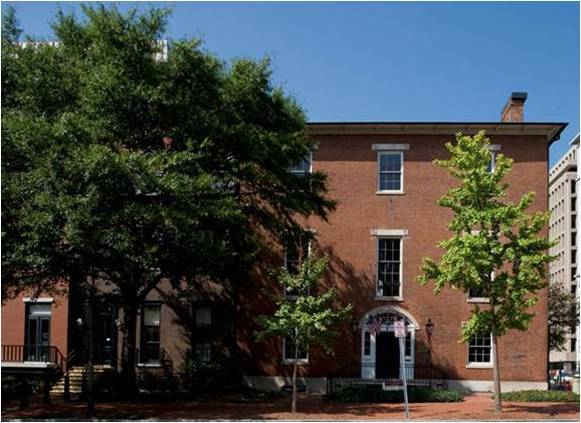 As the GSA Regional Historic Preservation Officer and Preservation Architect, Barbara Campagna developed and managed the design, preservation and regulatory review approaches at the site. 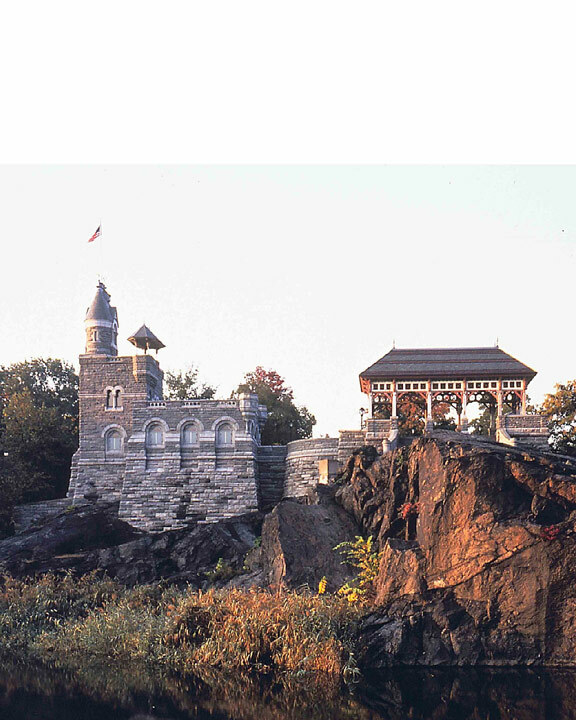 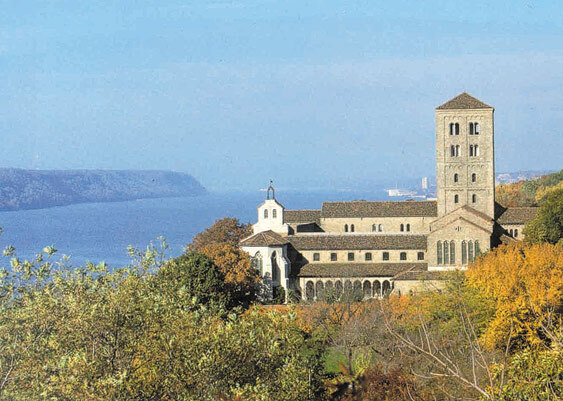 LYNDHURST Tarrytown, New York Restoration plans for various historic buildings on this National Historic Landmark 48-acre site located along the Hudson River. 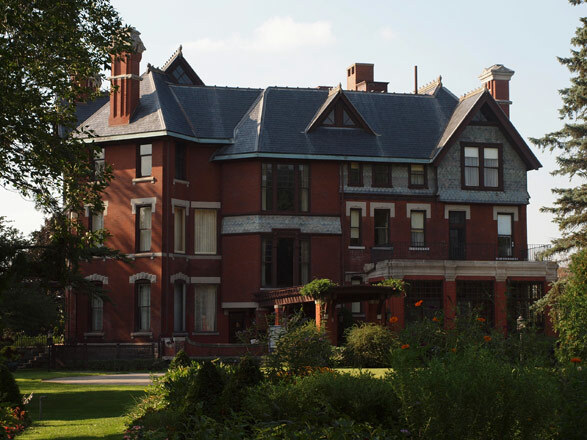 Projects included exterior restoration of the 1838 A. J. Davis-designed Gothic Revival mansion, adaptive use of historic Bowling Alley for public events, restoration of gate houses as residences, and stabilization of historic greenhouses. 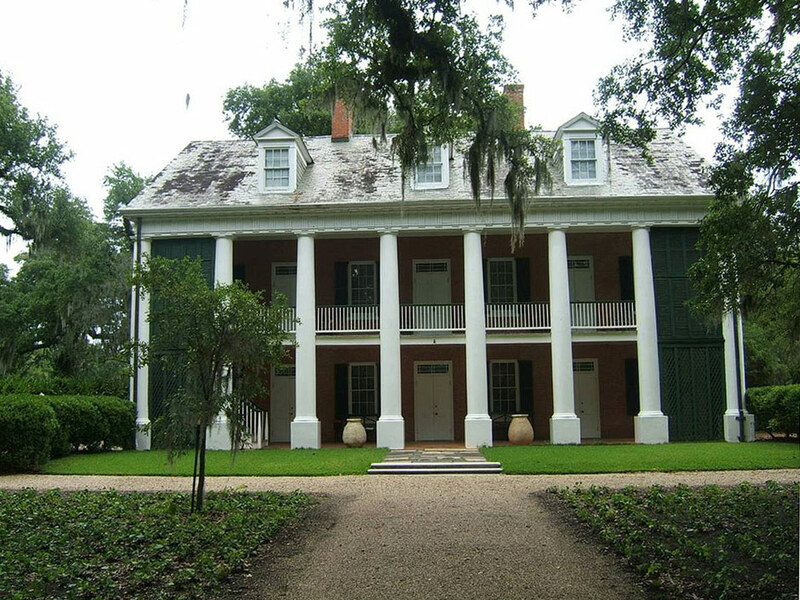 As Chief Architect of the National Trust, Barbara Campagna managed the restoration and rehabilitation work at this National Trust Historic Site from 2006-2011. 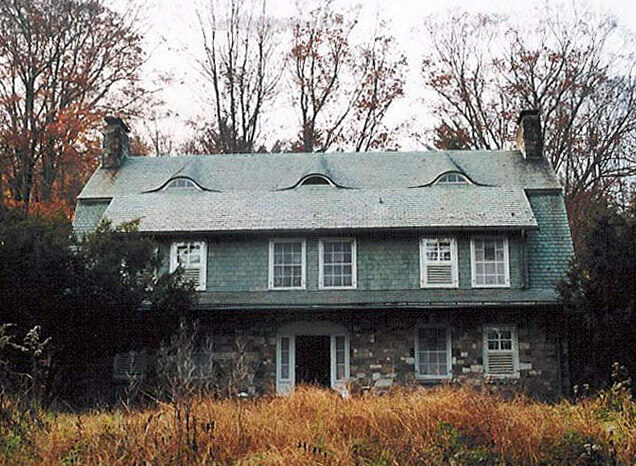 MARIE ZIMMERMANN FARM, Delaware Water Gap National Recreation Area, Dingman’s Ferry, Pennsylvania Marie Zimmermann Farm is located in the Delaware Water Gap National Recreation Area, on the Pennsylvania/New Jersey border. 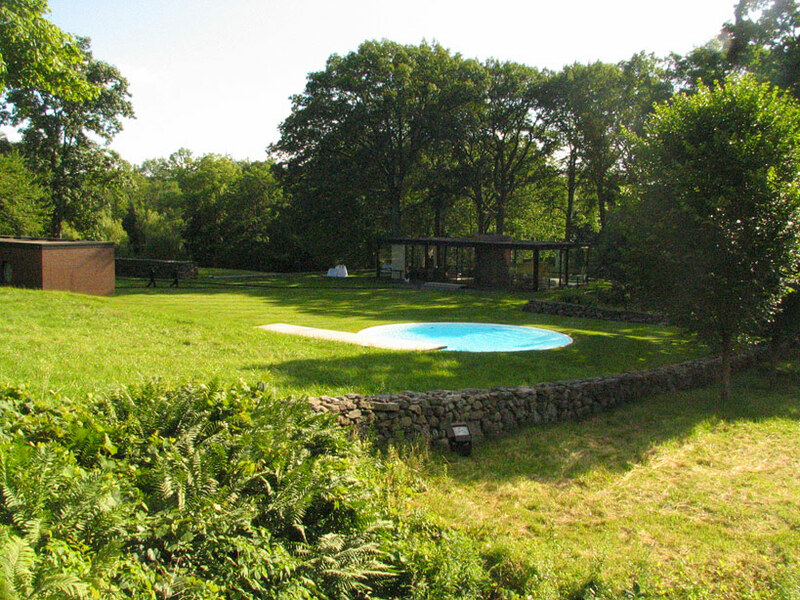 The eclectic 1910 Dutch Colonial farm house complex was built by this well-known artist and jewelry designer. 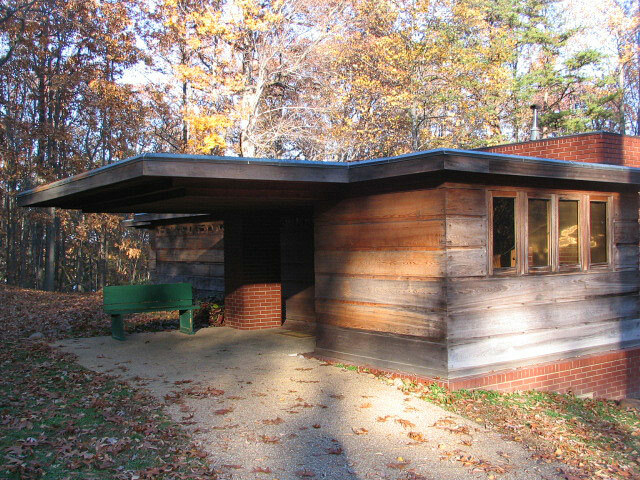 The site is now owned by the National Park Service and had been vacant for 20 years, although adequately mothballed. 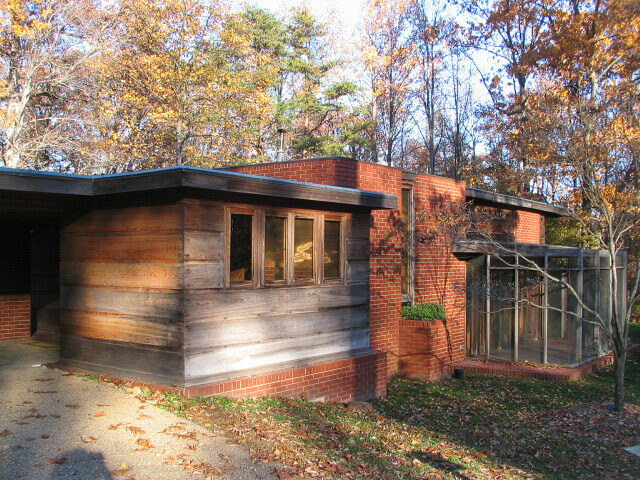 Barbara Campagna was the architect for the stabilization and restoration of the house with her firm Campagna & Easton Architects, which included the installation of new mechanical and technology systems to accommodate office and museum functions, geothermal wells and replacement of missing wood features with sustainably harvested wood. 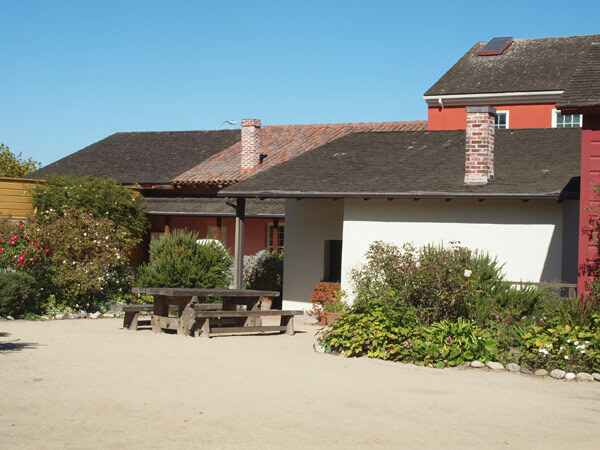 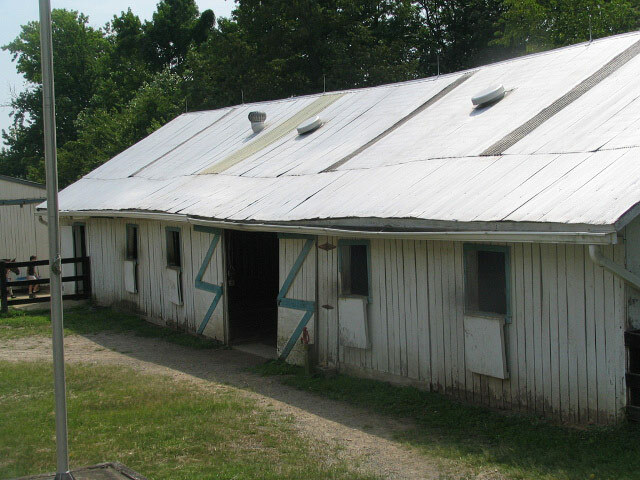 A redevelopment plan was developed for this 24 acre site which included landscape restoration and the adaptive use of 14 farm buildings such as stables. 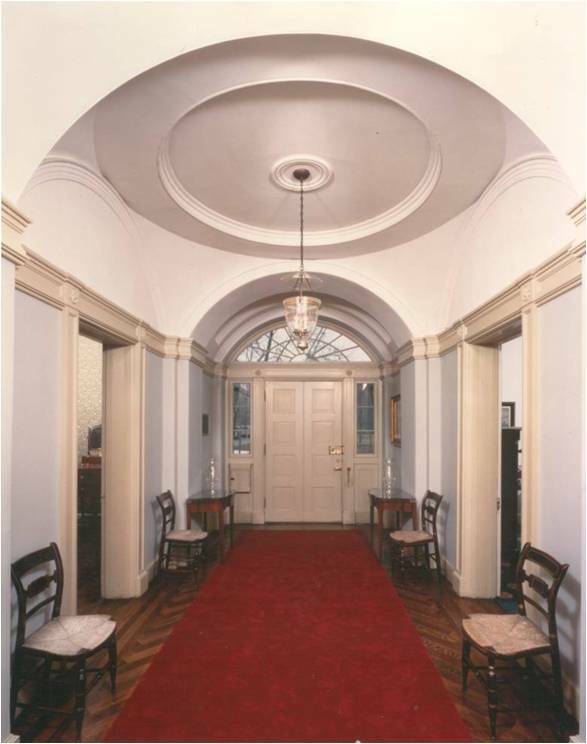 NATIONAL ARTS CLUB New York, New York The National Arts Club, located at 15 Gramercy Park South, was originally built as two separate townhouses in the 1840s. 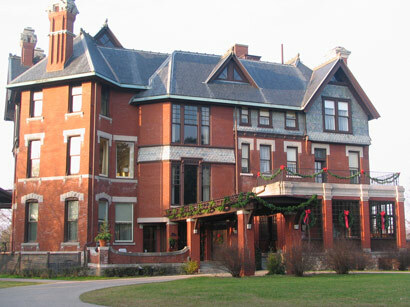 Samuel J. Tilden purchased both buildings, one in 1863 and the adjacent in 1874, and hired Calvert Vaux to remodel and join the two structures. 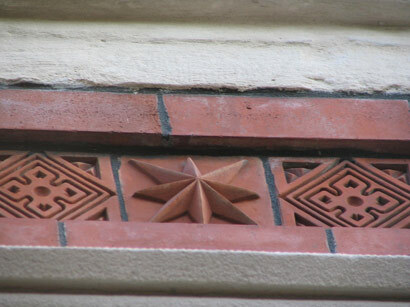 Vaux chose the High Victorian Gothic style for the design of the façade which is richly decorated with sculpted ornament referencing nature. 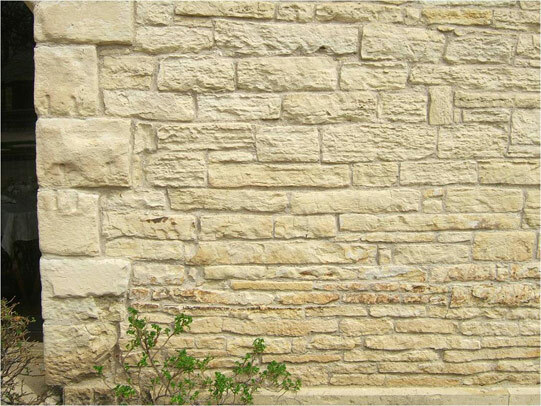 The primary materials include sandstone, gray granite and marble. 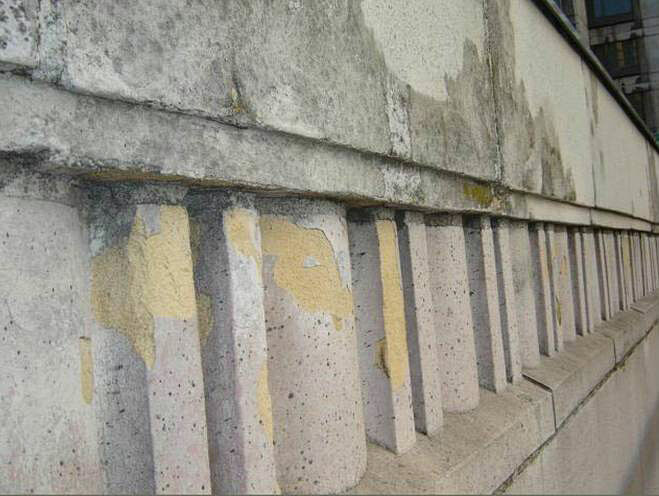 While many of the original design details remained, many had deteriorated and in some cases literally disappeared through delamination, cracking and weathering. 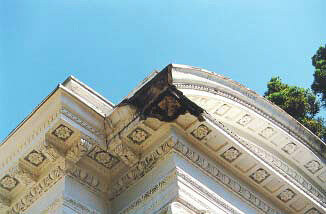 Barbara Campagna led the restoration effort on the National Historic Landmark façade and assisted in the fundraising campaign while an architect at a New York City preservation firm. 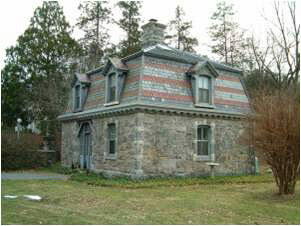 The project was awarded a $250,000 Clean Water/Clean Air grant from the NY State Office of Parks and Recreation. 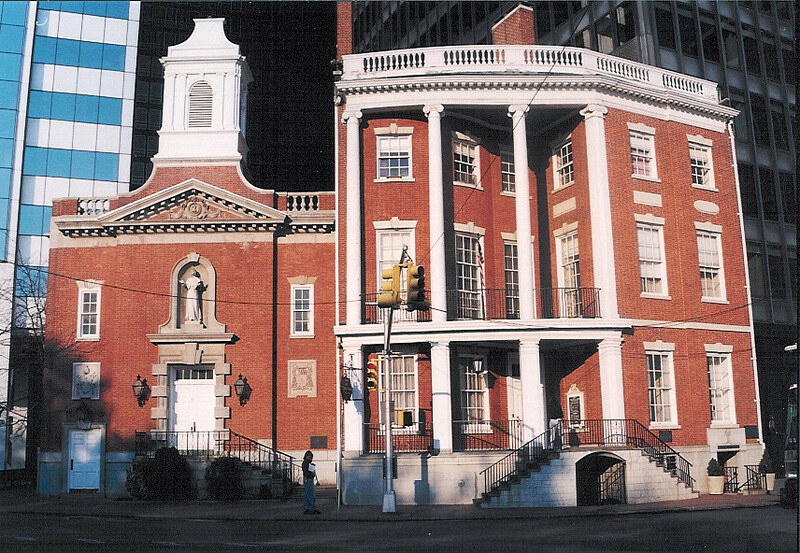 OUR LADY OF THE ROSARY MISSION New York, New York The Church is also known as the Shrine of Blessed Elizabeth Seton, the first American born Catholic saint. 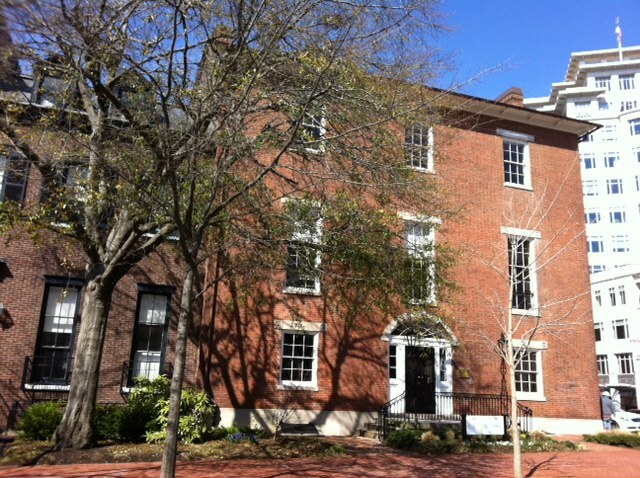 Located at 7 State Street, the 1783 Federal-style house is all that remains of a block of Federal houses that once adorned the street. 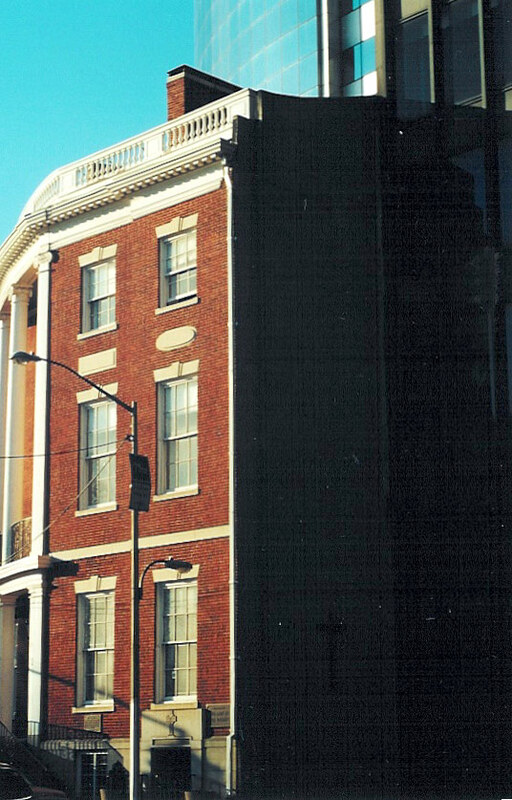 In 1964, the Mission built an addition on the site of the building where Elizabeth Seton had once lived. 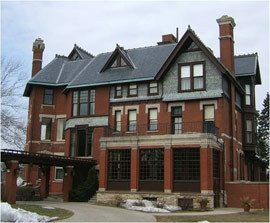 The complex is in fair condition considering its age and alterations. 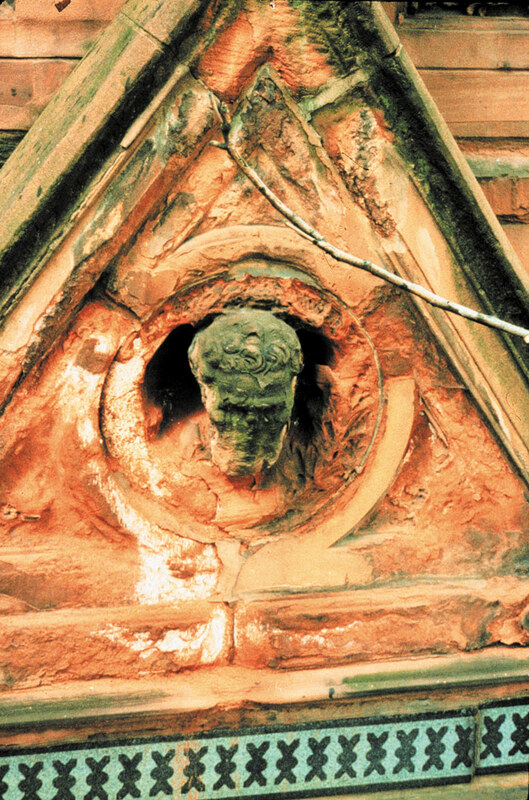 But some of the key character defining features - the windows, roof and the Portico, which are crucial to keeping the building watertight - were in poor condition. 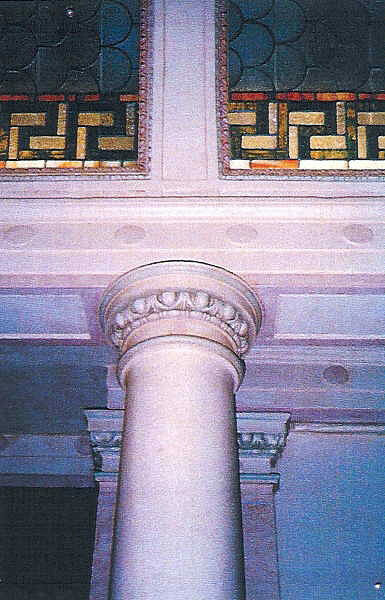 Barbara Campagna led the restoration efforts for Campagna & Easton Architects and completed an Existing Conditions Analysis and Construction Documents for Phase I: the Restoration of the Portico, Windows and Doors. 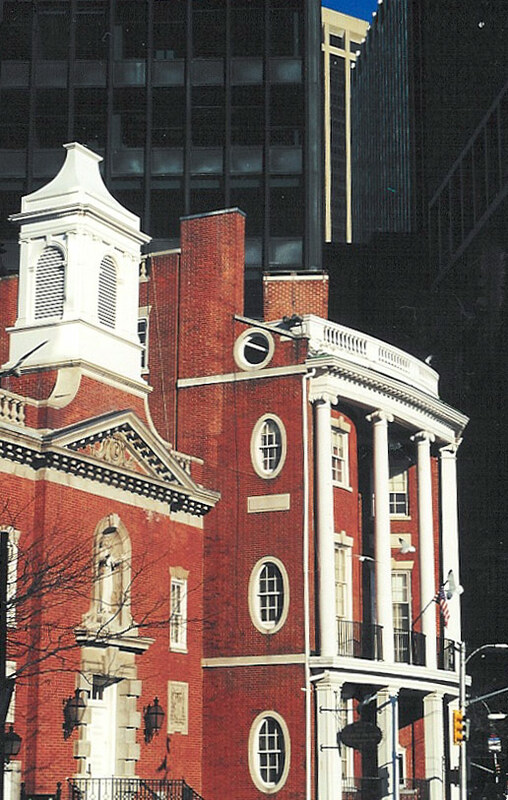 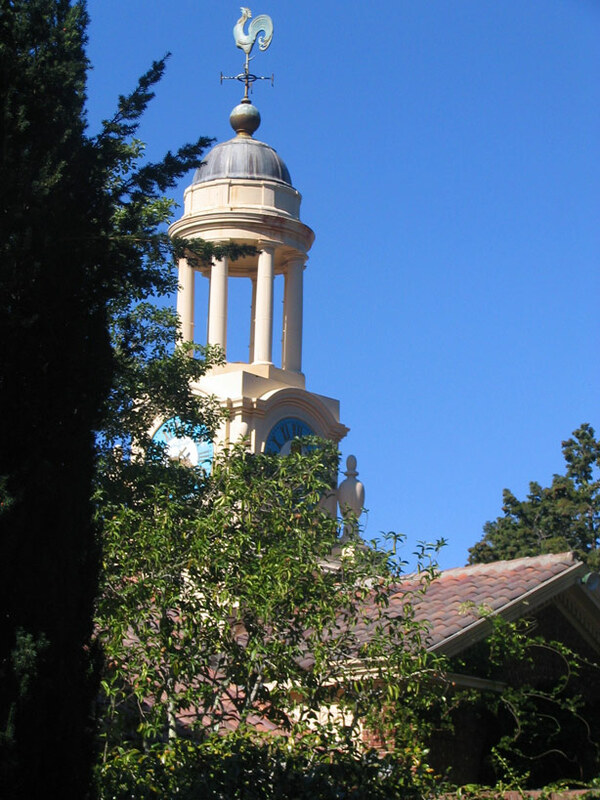 The firm also assisted the Mission in its fundraising efforts, with the church being awarded grants from the Landmarks Conservancy and the National Trust for Historic Preservation. 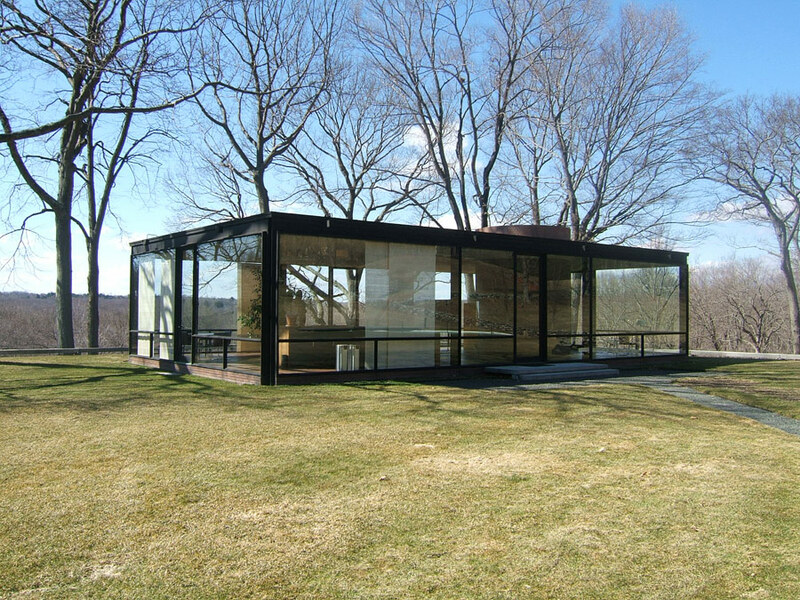 THE PHILIP JOHNSON GLASS HOUSE New Canaan, Connecticut Restoration plans of historic buildings and landscape on this 47 acre, 14 building National Historic Landmark modern site, home of architect Philip Johnson, designed 1949-1979. 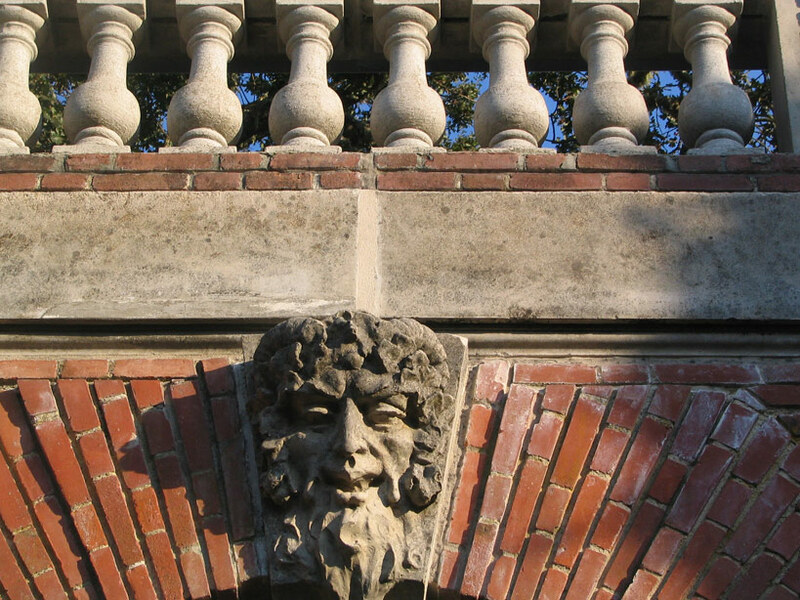 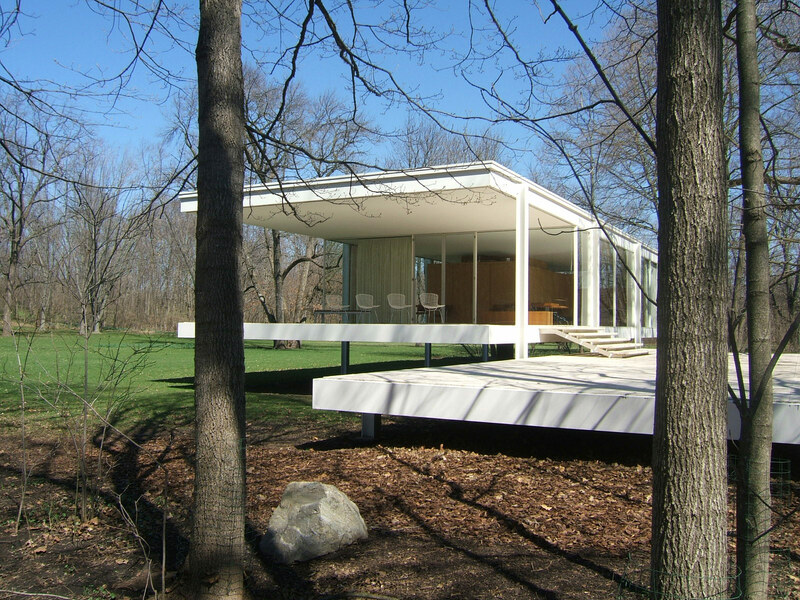 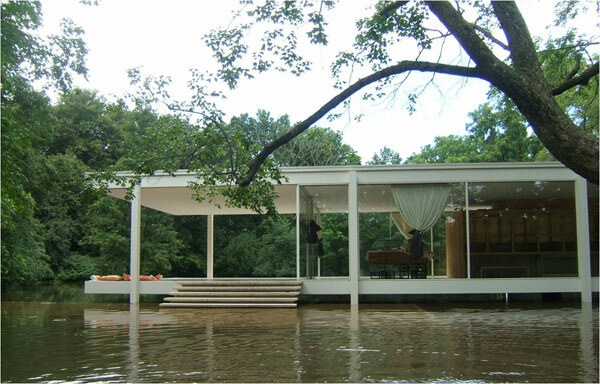 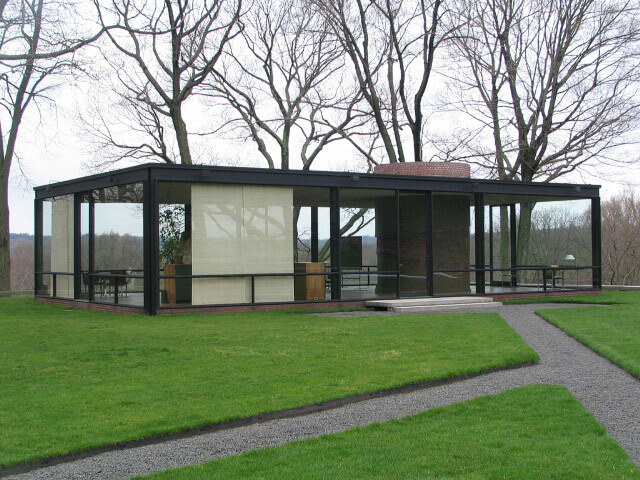 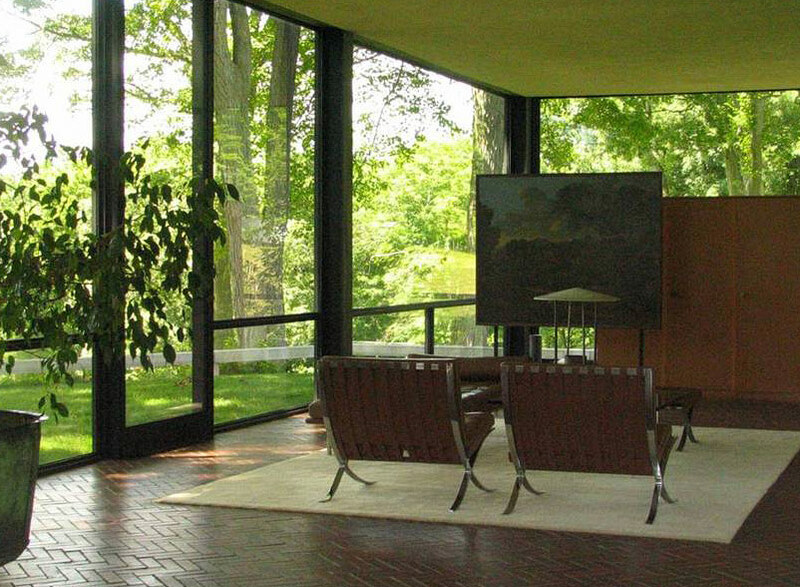 Various projects include restoration of the curtain wall at the Glass House, complete restoration of the Glass House’s companion building, the Brick House, restoration of the Sculpture Gallery, restoration of the cast stone Pavilion in the Pond, and restoration of the pond that the site overlooks. 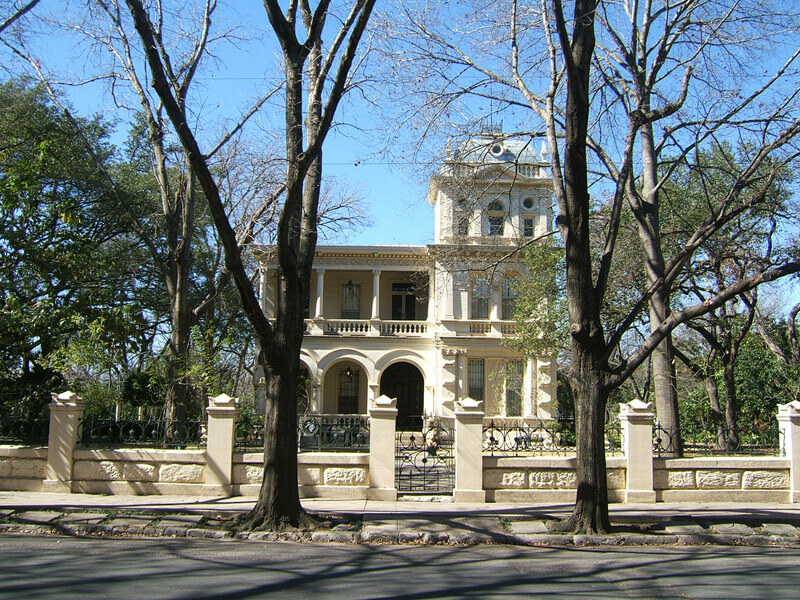 As Chief Architect of the National Trust, Barbara Campagna managed the restoration and rehabilitation work at this National Trust Historic Site from 2006-2011. 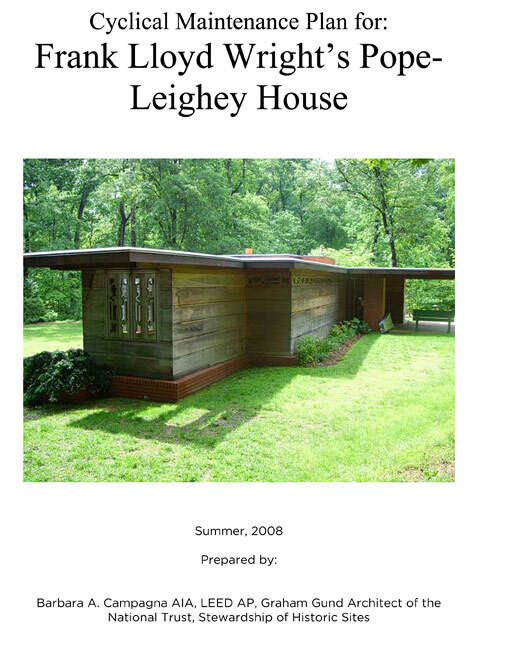 POPE-LEIGHEY HOUSE Alexandria, Virginia Exterior wood restoration and Cyclical Maintenance Plan for National Historic Landmark Usonian House designed by Frank Lloyd Wright in 1949. 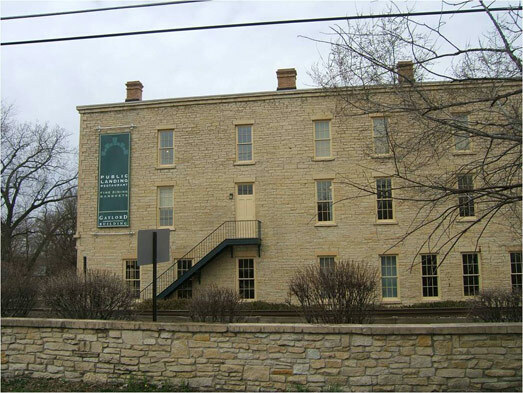 Barbara Campagna obtained a Save America’s Treasures Grant to create this program for long-term preservation and stewardship for the site. 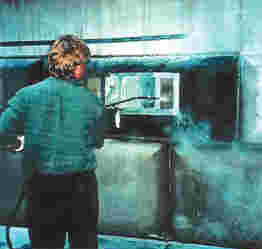 The cyclical maintenance manual includes methods for material preservation and a section on green products and practices. 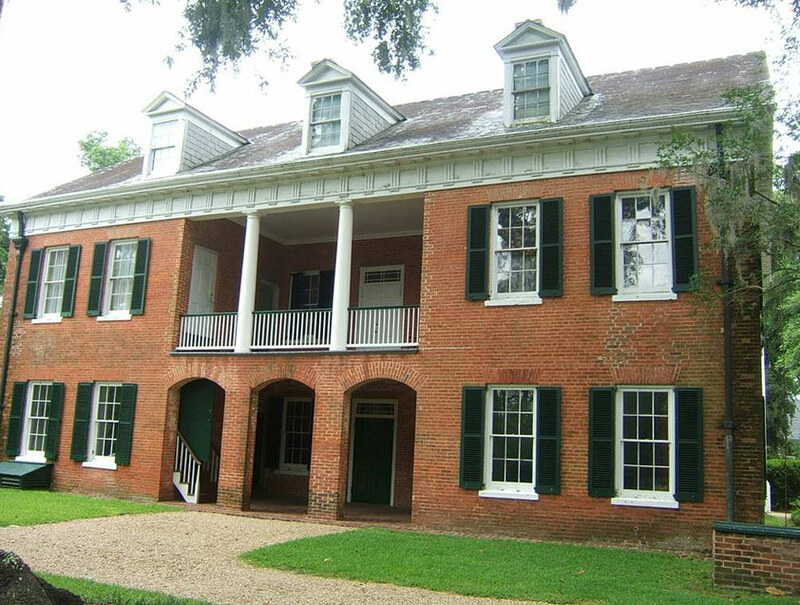 As Chief Architect of the National Trust, Barbara managed the restoration maintenance programs for the work at this National Trust Historic Site from 2006-2011. 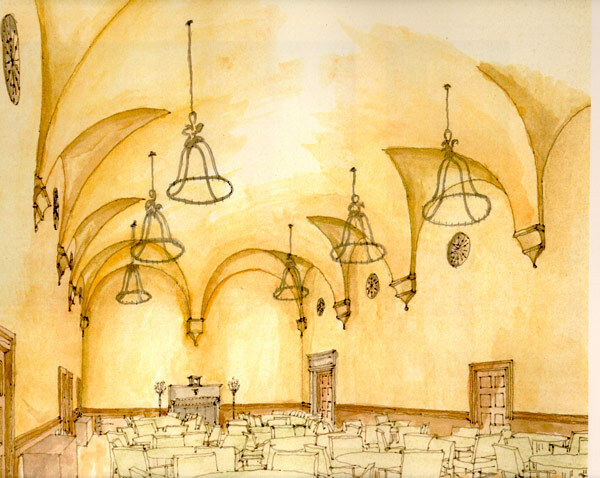 THE PRASADA APARTMENT BUILDING New York, New York Interior restoration of lobby and public spaces for 1907 National Register-listed apartment building on Central Park West. 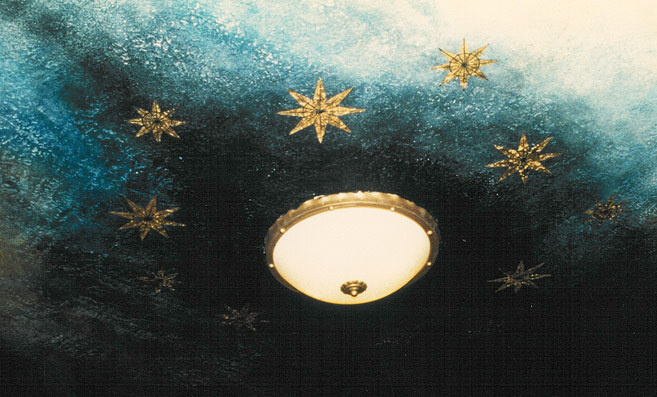 Project included restoration of decorative paint finishes, restoration and back lighting of historic stained glass skylight and design of new historically appropriate chandeliers and sconces. 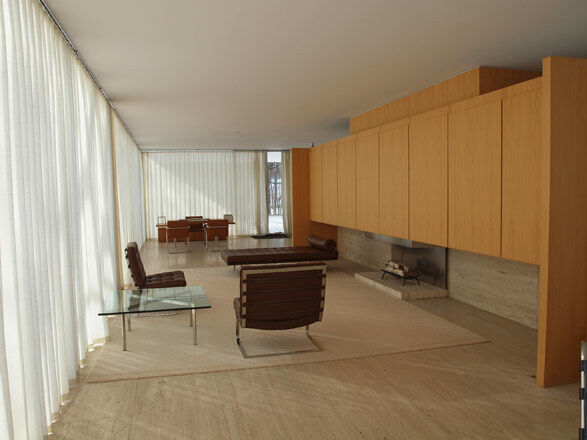 Barbara Campagna designed the plan and managed the construction while an architect at a New York City preservation firm. 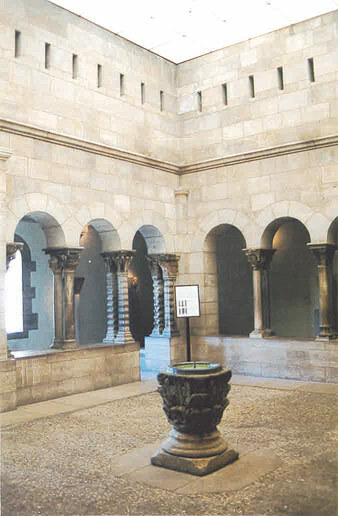 THE ST. GUILHEM GALLERY AT THE CLOISTERS, METROPOLITAN MUSEUM OF NEW YORK Designed to house John D. Rockefeller's collection of medieval art in 1938, this famous museum is a complex of 4 ancient cloisters. 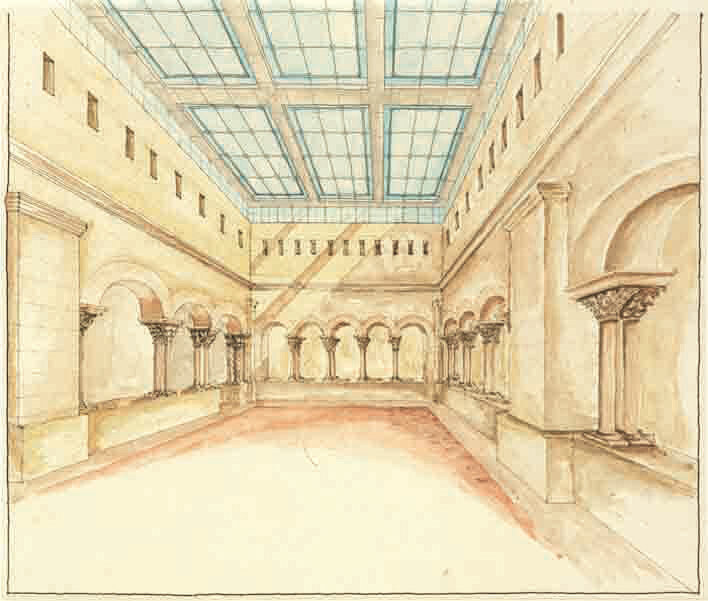 The St. Guilhem Gallery houses the 12th century artifacts from the Benedictine Abbey, St. Guilhem le Desert, in the south of France. 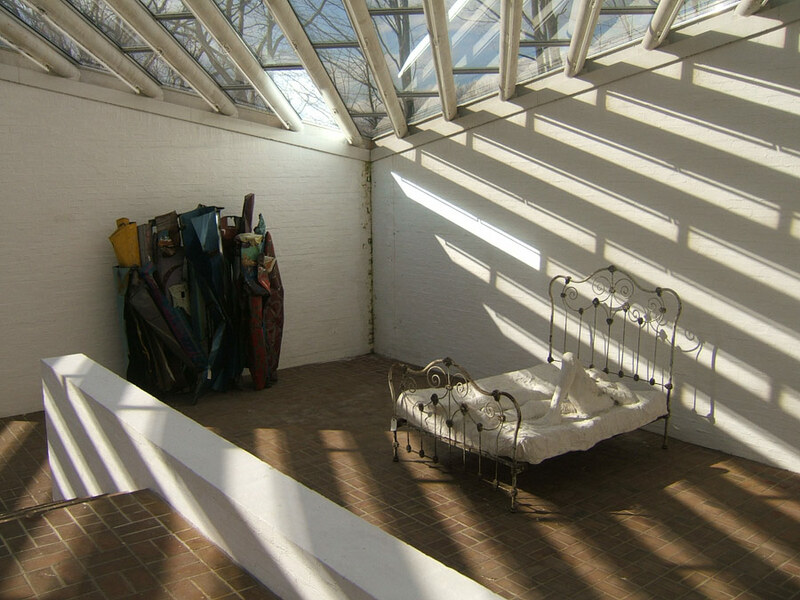 Barbara’s firm, Campagna & Easton reinterpreted the Gallery, which is the only cloister in the museum with a protective roof and ceiling. 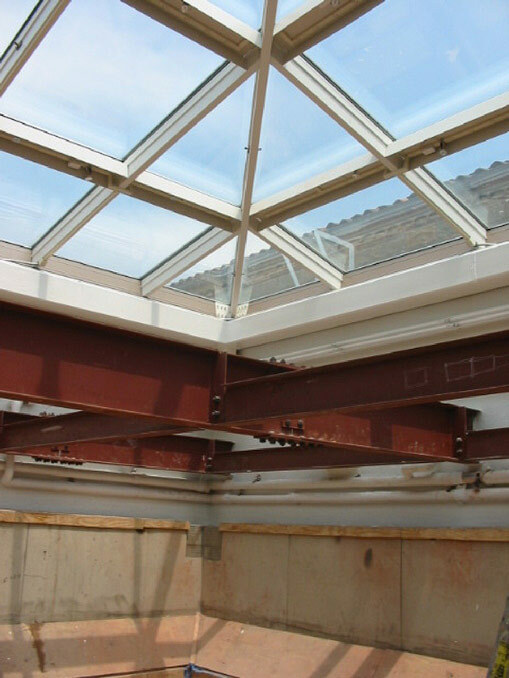 A new roof with a hipped glass skylight was designed with a low slope to make it invisible from the ground. 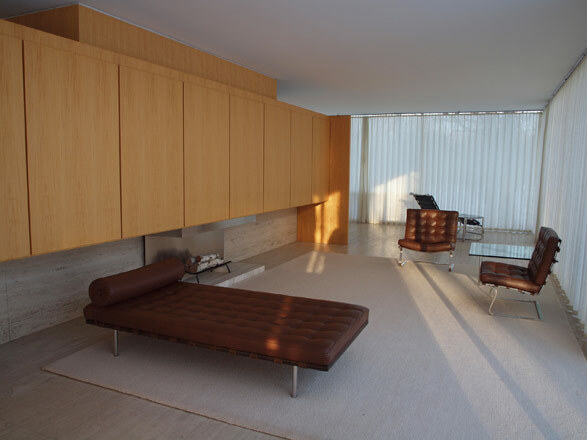 A new interior laylight design better reflected the proportions and intention of the space, allowing more natural light to filter into the room, documenting the passage of time through the changing pattern of sunlight-daily and seasonally. 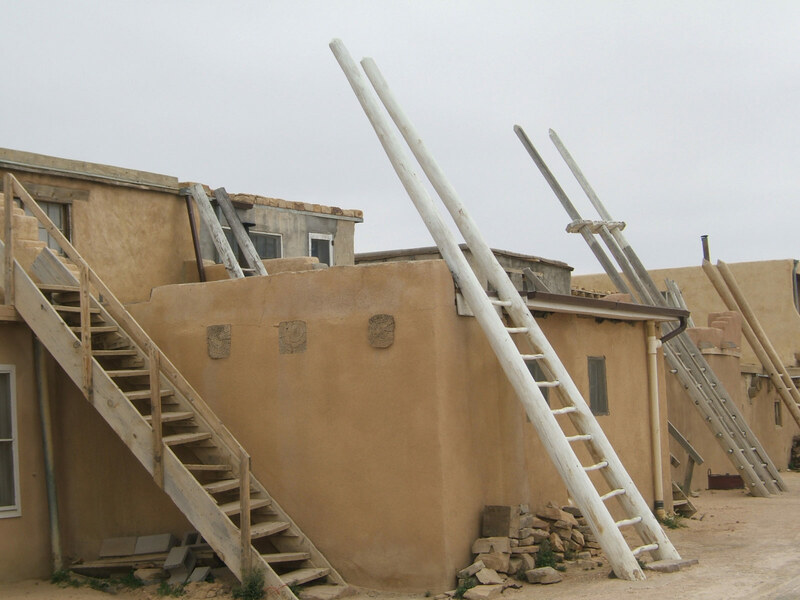 The project included the complete exterior restoration of all walls, roofs, copings and flashings to insure a watertight environment. 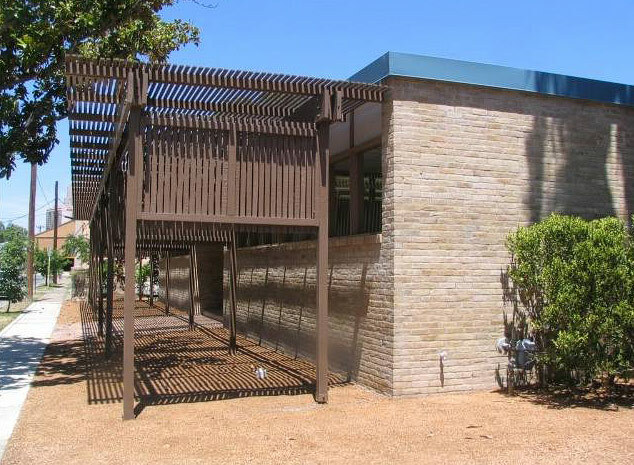 This complicated and challenging project received unanimous approval from all regulatory review agencies. 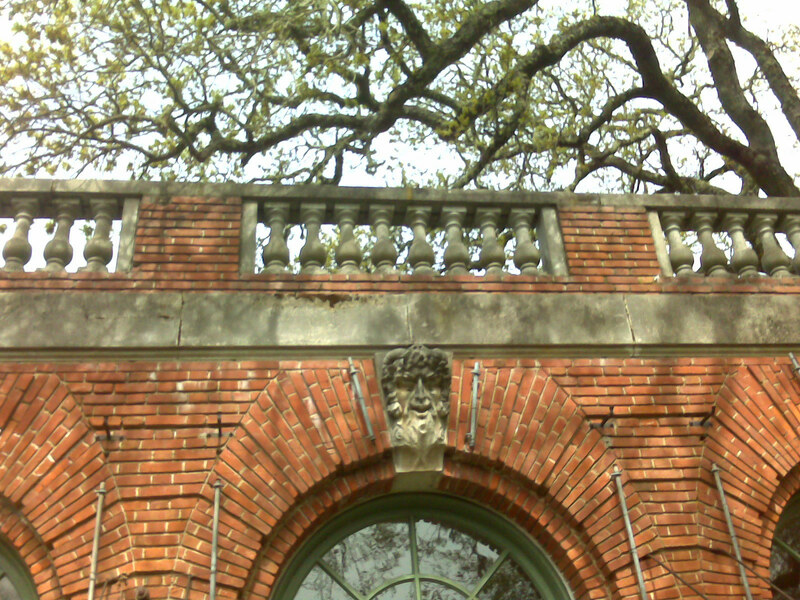 SHADOWS-ON-THE-TECHE New Iberia, Louisiana Exterior restoration of 1834 National Historic Landmark plantation house located along the Bayou Teche. 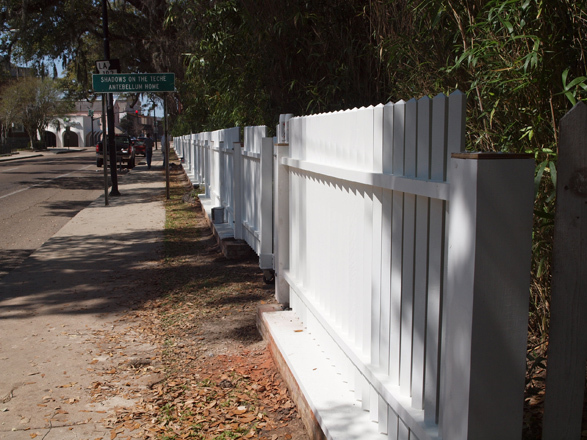 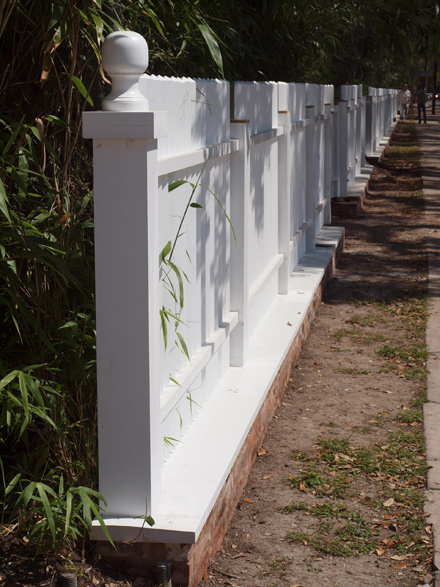 Work included exterior restoration of wood windows, doors and trim, design of a new historically accurate wood fence with six operable gates to surround three sides of the plantation, installation of new drainage to mitigate the results of previous hurricane damage and rehabilitation of the adjacent bank building as the site’s visitor center. 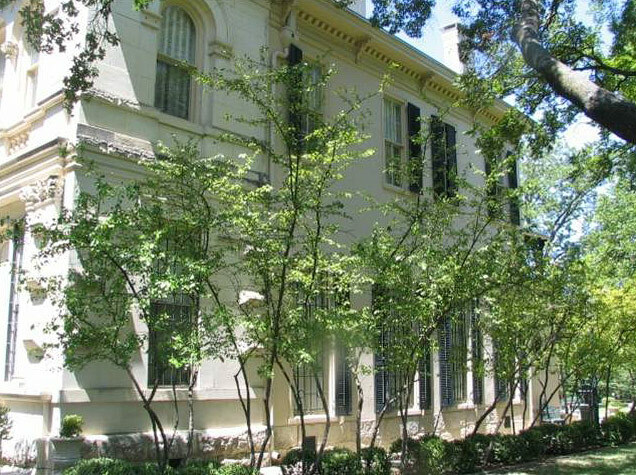 As Chief Architect of the National Trust, Barbara Campagna managed, designed and developed the restoration and rehabilitation work for this National Trust Historic Site from 2006-2011. 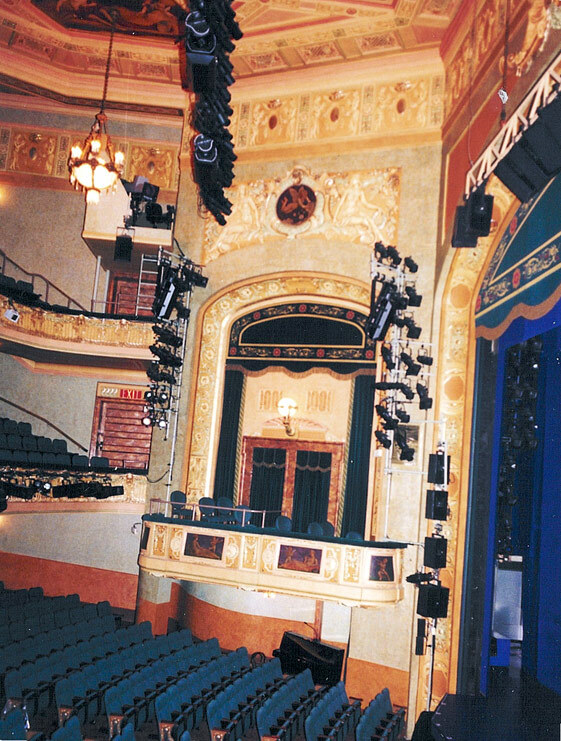 SHUBERT THEATRE New York, NY The Shubert Theatre was designed in 1912 by Architect Henry B. Herts in the Venetian Renaissance Style. 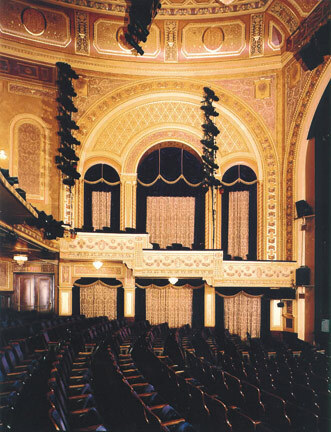 Its elaborate ornament, murals, fabrics and lighting spoke to the fact that this was the crown jewel of the Shubert Organization’s theatre dynasty. 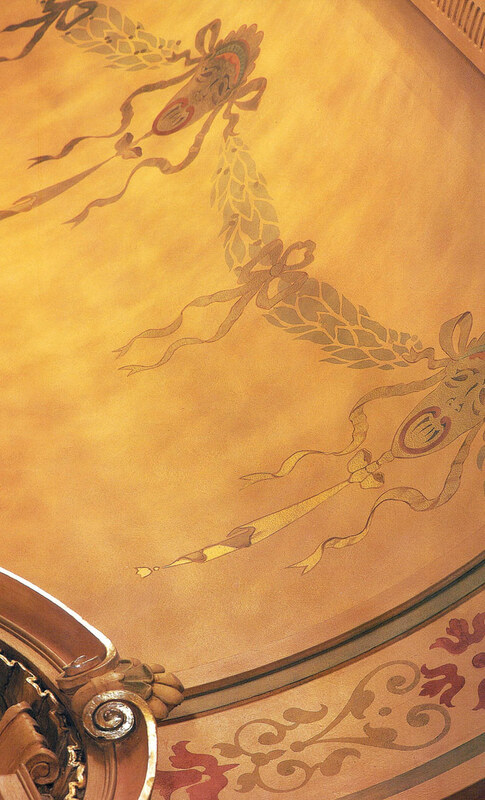 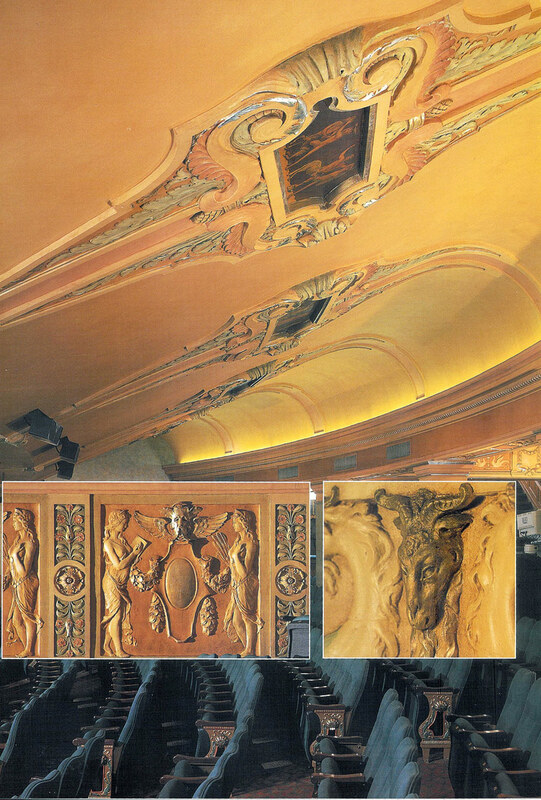 The luster of the theatre had been lost from years of overpainting and removals of precious paintings and murals. 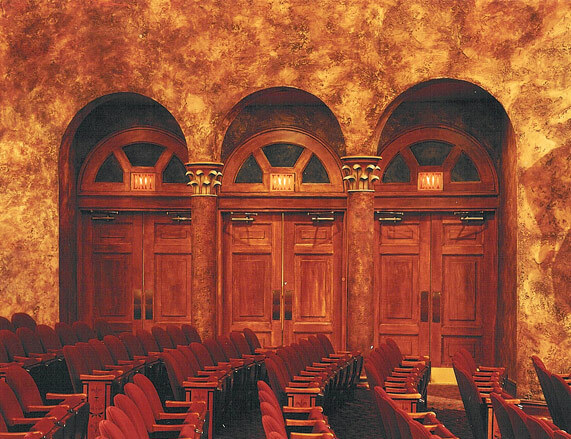 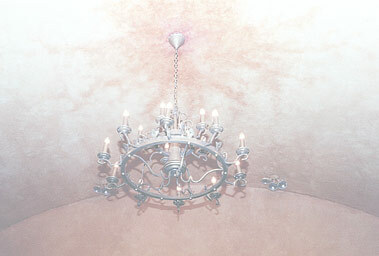 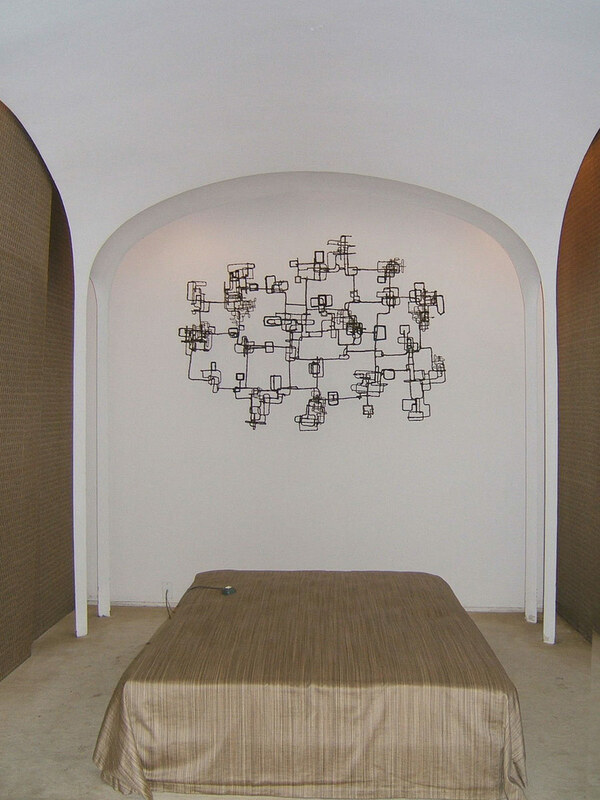 Barbara Campagna completed the interior restoration of the theatre with her previous firm, Campagna & Russo Architects. 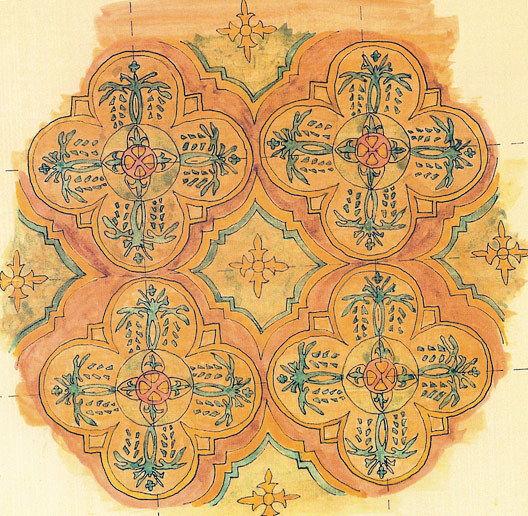 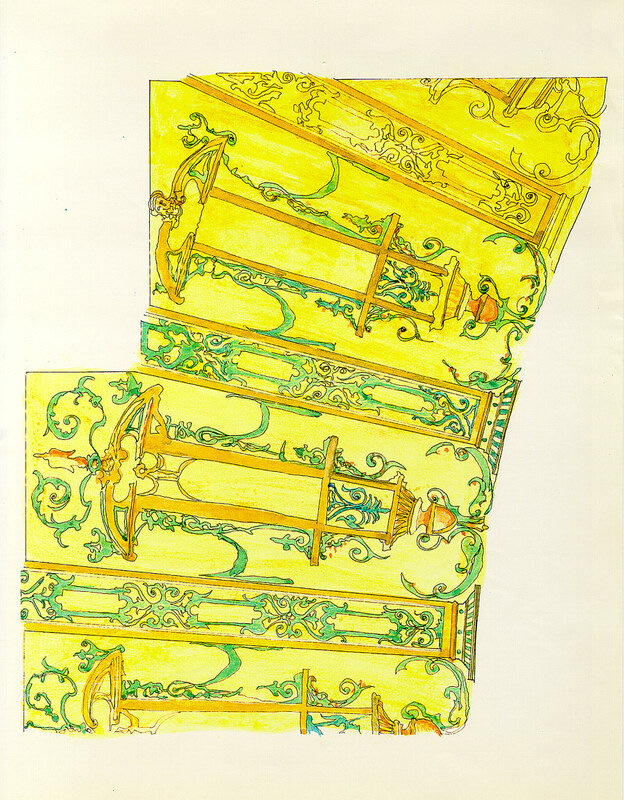 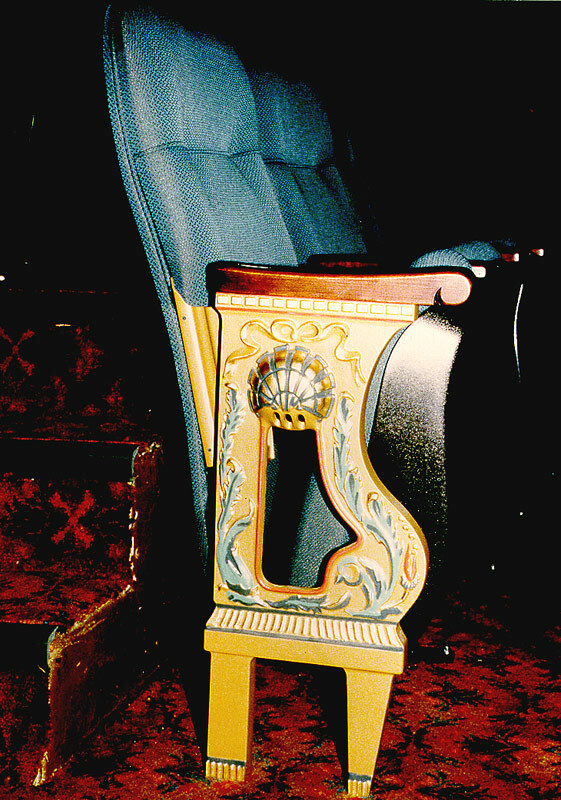 The restoration scheme was an interpretive redesign of seating, carpeting, fabrics, stencils, murals and color scheme based on paint testing and archival research. 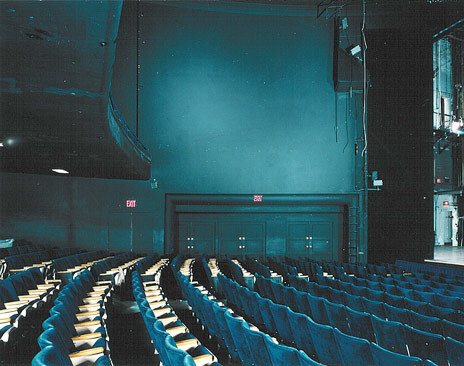 The restored theatre is a colorful scheme of blues, greens and golds. 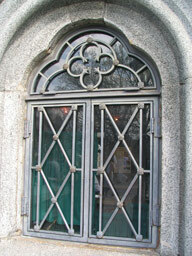 The project won a Preservation Achievement Award from the NYC Landmarks Preservation Commission. 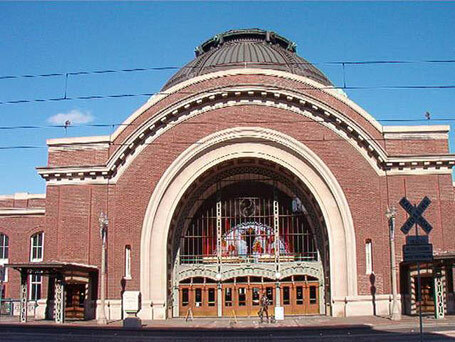 TACOMA UNION STATION Tacoma, Washington Tacoma Union Station, designed by Grand Central Terminal architects Reed & Stem in 1909, was adapted for use as a courthouse in the 1990s. 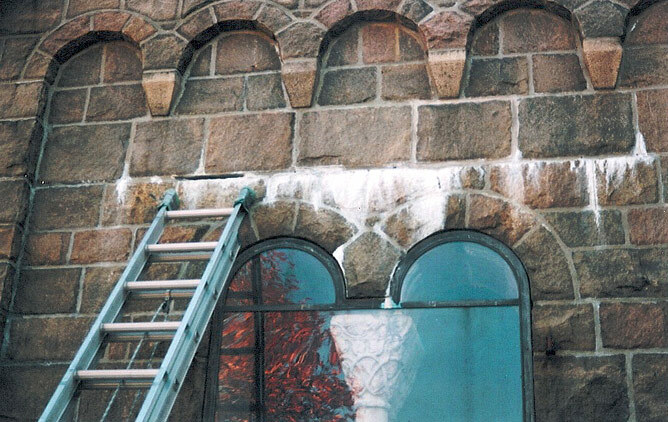 Work completed on National Register-listed building included interior terrazzo restoration, installation of security window film, and redesign of security access and public entrance to the courthouse. 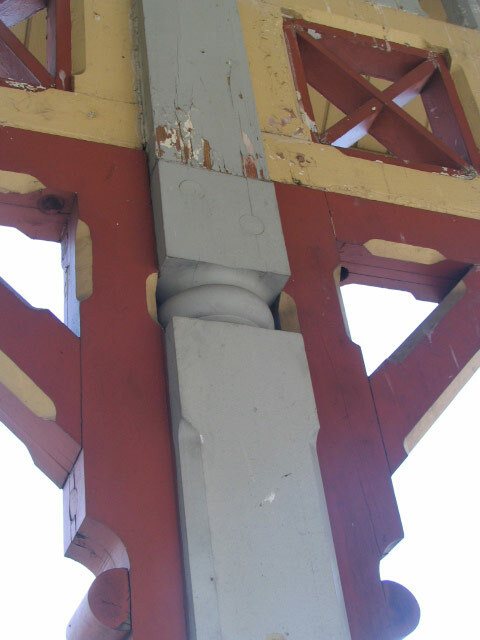 As the GSA Regional Historic Preservation Officer and Preservation Architect, Barbara Campagna developed and managed the design, preservation and regulatory review approaches at the site. 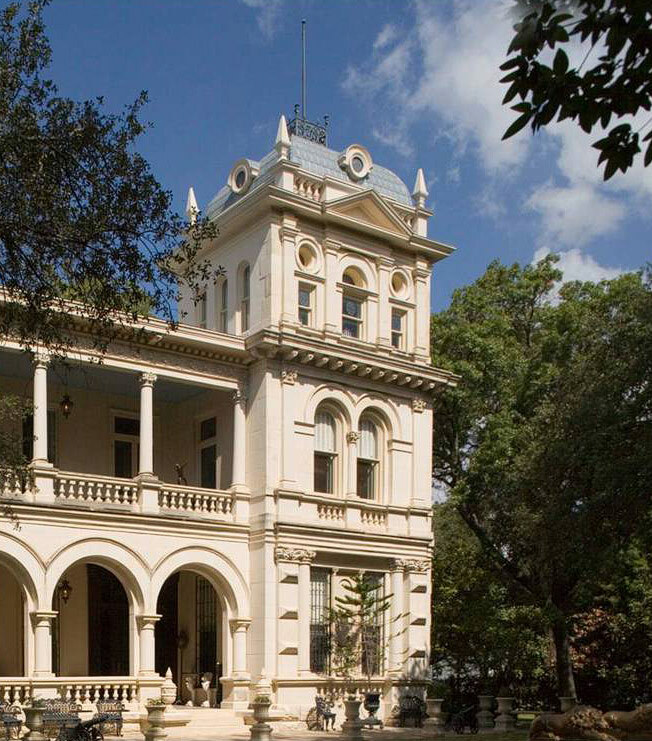 VILLA FINALE San Antonio, Texas Transformation of a historic 1876 Victorian mansion along the Riverwalk in San Antonio into the 29th National Trust Historic Site. 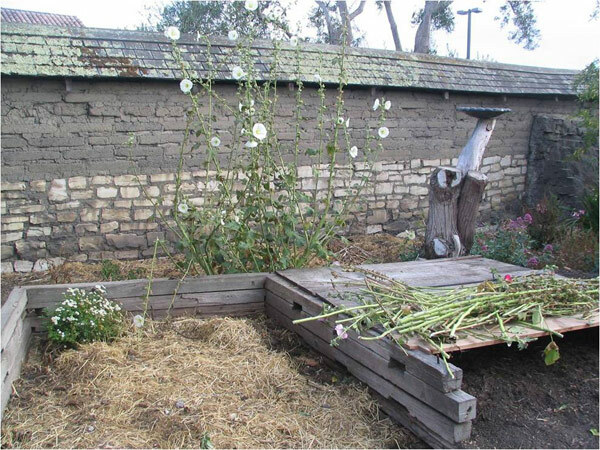 Work included creation of an interpretation and tour plan, restoration of the mansion, installation of new drainage and micro-drip irrigation, rehabilitation of the landscape using more sustainable materials and approaches, and rehabilitation of the carriage house as staff offices and a conservation laboratory. 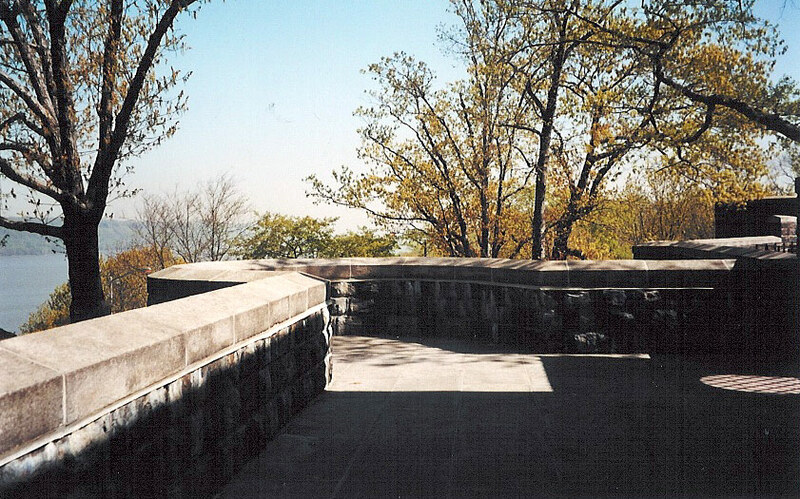 As Chief Architect of the National Trust, Barbara Campagna developed the architectural philosophical approach to the creation of the site and managed the restoration and rehabilitation work for this National Trust Historic Site from 2006-2011. 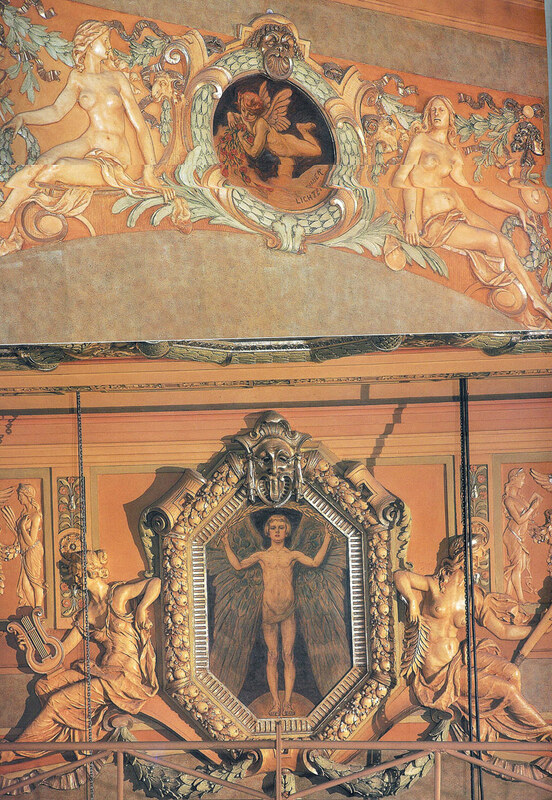 VIRGINIA THEATRE New York, NY The Virginia Theatre was designed in 1925 by Architects Crane, Franzheim & Bettis in the Florentine Renaissance style to resemble a Tuscan palazzo. 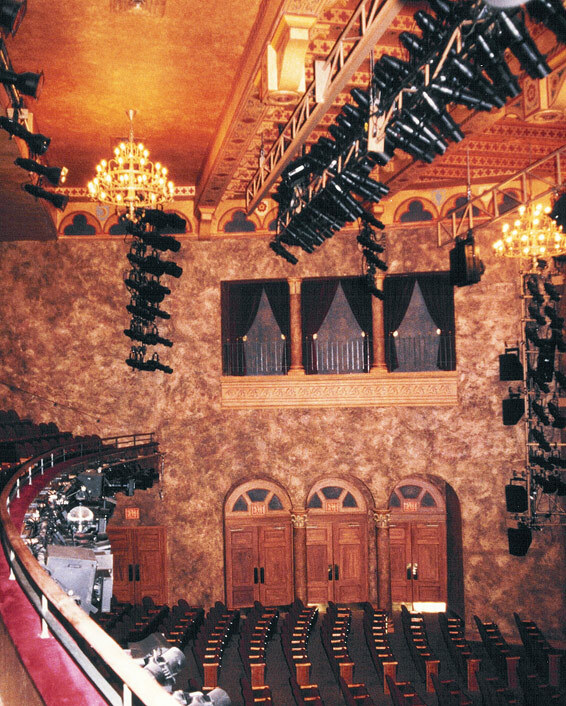 The elaborate interior had been disassembled in the 1950s, leaving what was once one of the most decorative theatres on Broadway as a mere shell.Barbara Campagna’s previous firm, Campagna & Russo, reintrepreted the original design to incorporate new engineering, lighting, and technology systems. 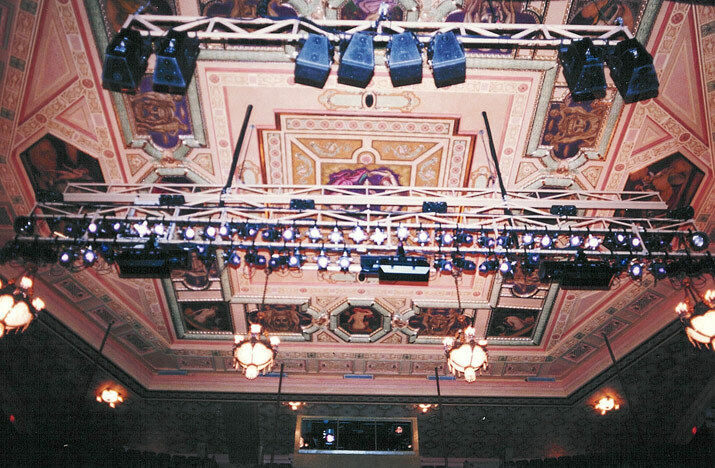 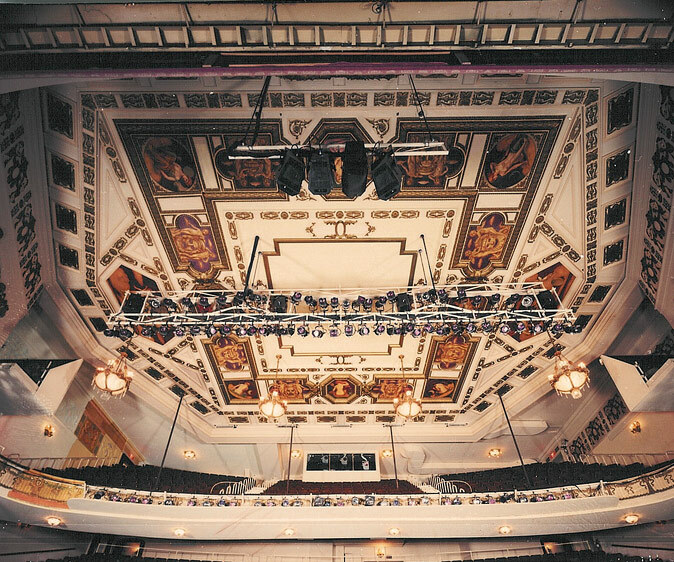 The original wood beamed and bracketed ceilings were replicated in plaster; rough-textured, chestnut-colored plaster walls decorated with reds, greens and golds were installed throughout the theatre as was a completely new lighting scheme with custom wrought iron fixtures. 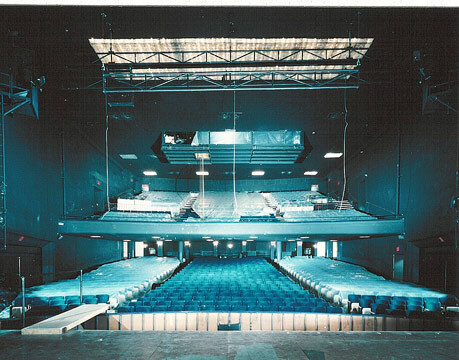 The proscenium was redesigned as were the side walls. 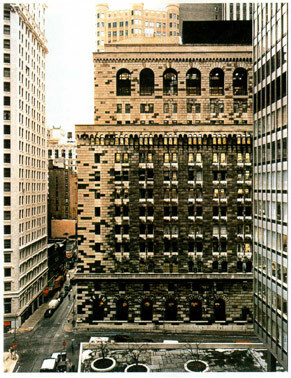 The project won a NY Landmarks Conservancy Preservation Award. 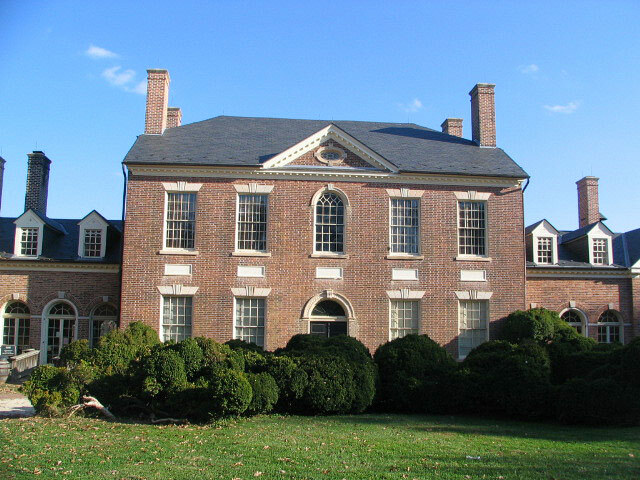 WOODLAWN Alexandria, Virginia Exterior masonry and roof restoration of 1805 National Historic Landmark plantation mansion. 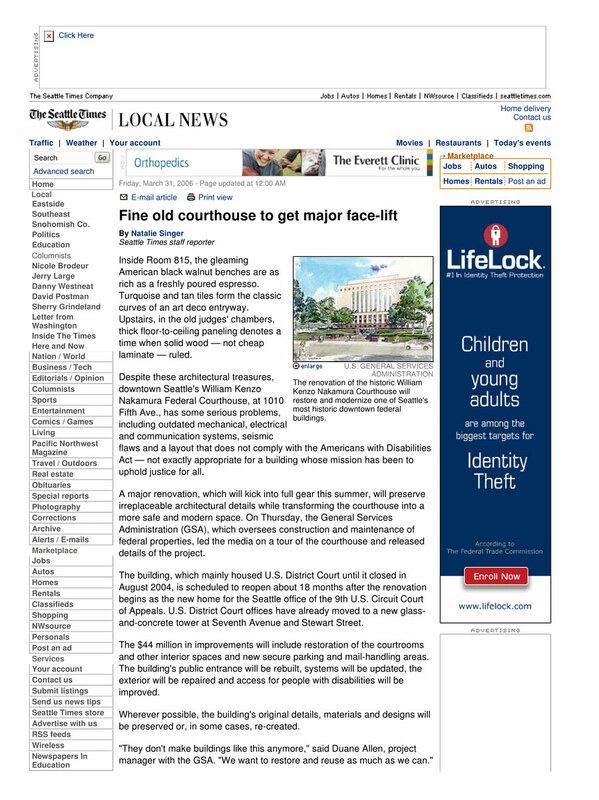 Development of plan to mitigate federal widening of highway adjacent to the site including design of a new site entrance. 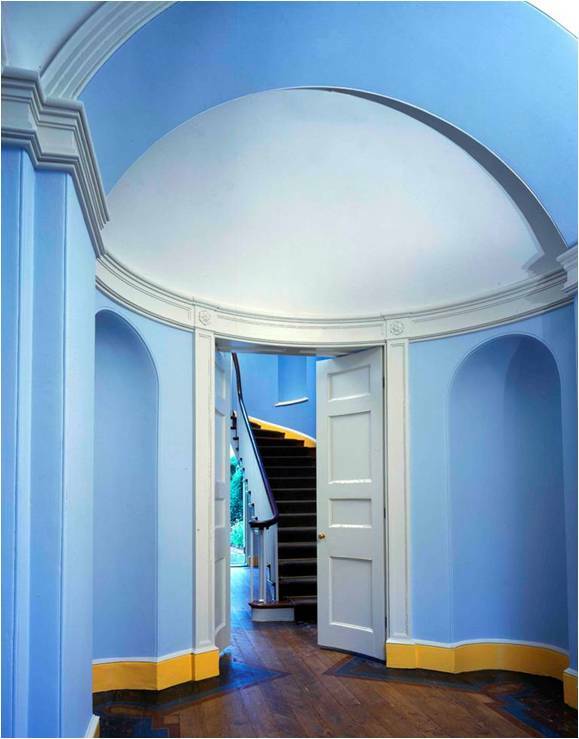 As Chief Architect of the National Trust, Barbara Campagna has created the architectural philosophical approach to the creation of the site and managed the restoration and rehabilitation work for this National Trust Historic Site from 2006-2011. 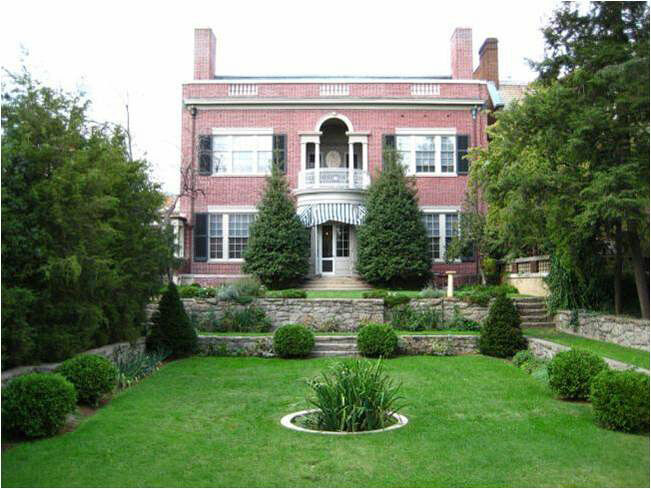 WOODROW WILSON HOUSE Washington, DC A Comprehensive Collections and Building Assessment and Master Plan Feasibility Study were conducted in order to determine the best way to improve the HVAC systems in this National Historic Landmark townhouse, President Wilson’s residence after he left the White House. 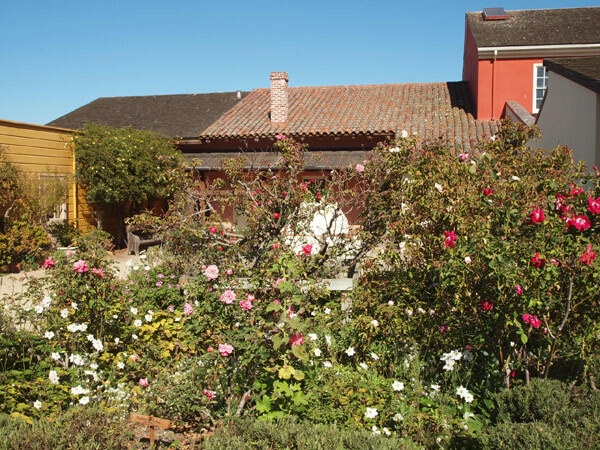 The master plan developed options for the rehabilitation of the house that includes a new climate control system with geothermal wells, a water-source heat pump, radiant cooling and heating and future installation of solar arrays and hot water collectors. 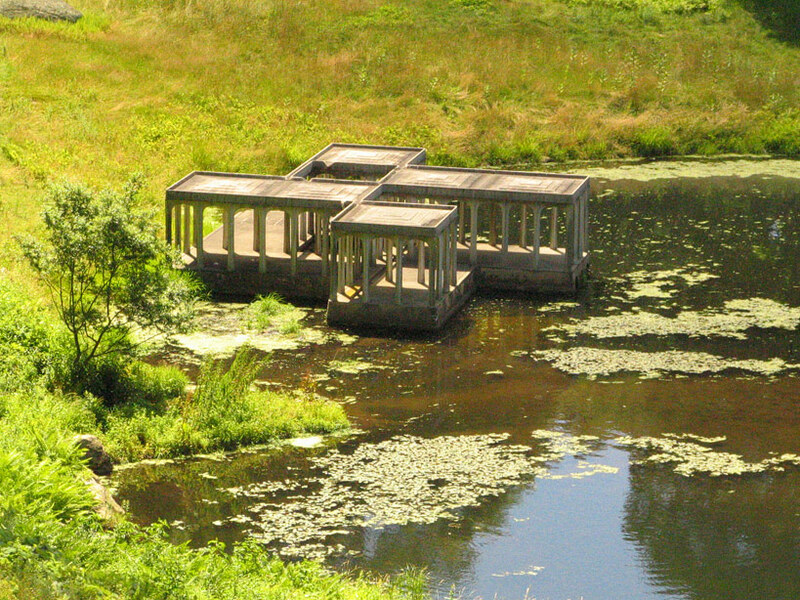 As Chief Architect of the National Trust, Barbara Campagna created the architectural philosophical approach to the sustainability approaches of the projects and managed the plans for this National Trust Historic Site from 2006-2011. 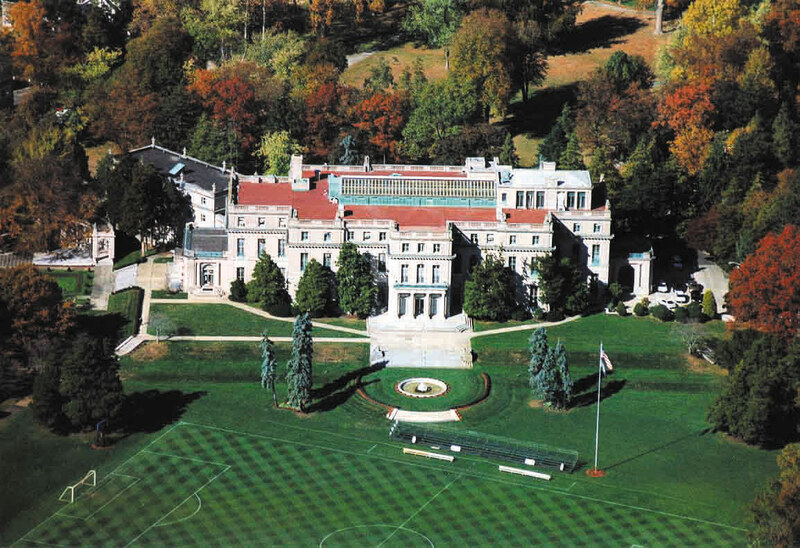 WOODROW WILSON HALL, MONMOUTH UNIVERSITY West Long Branch, NJ At the heart of Monmouth University is the grand historic mansion, Woodrow Wilson Hall, designed in 1928 by Horace Trumbauer. 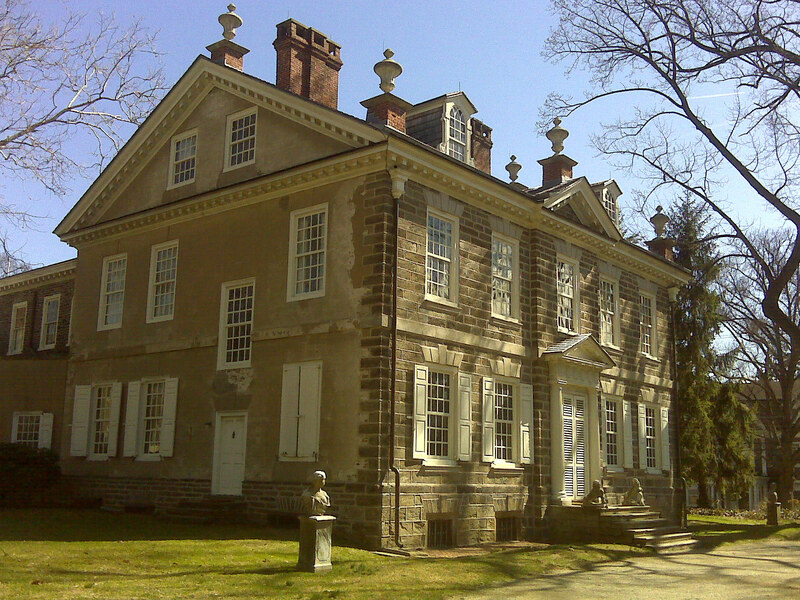 The mansion now serves as the University’s main Administration hall, and has the distinction of being the "grandest mansion ever built in New Jersey". 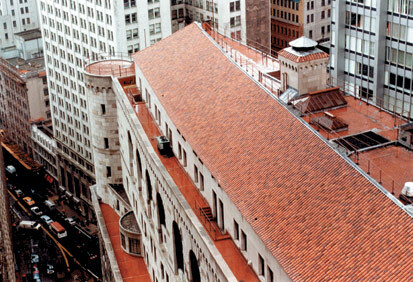 Barbara Campagna’s previous firm, Campagna & Easton led the design of the multi-phased restoration of the building which included a comprehensive roof and terrace restoration. 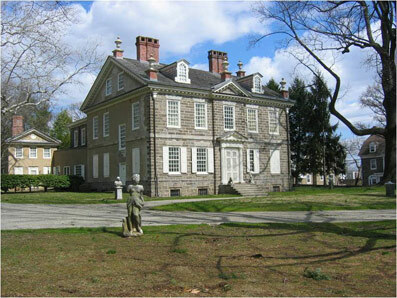 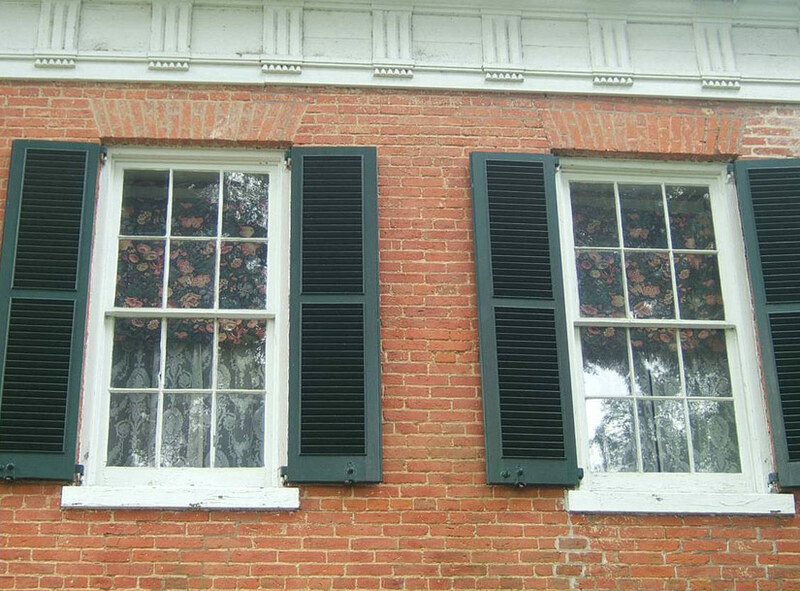 This first phase of work received a $750,000 grant from the NJ Historic Trust, with the assistance of Campagna & Easton. 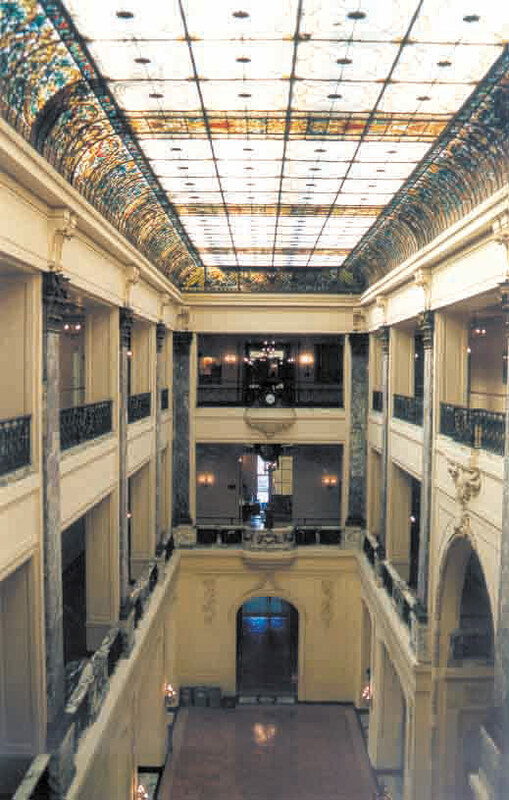 Phase 2 work included restoration of the limestone exterior, the original windows and doors and the 100 foot long art glass skylight.